TWO ON A LOT! 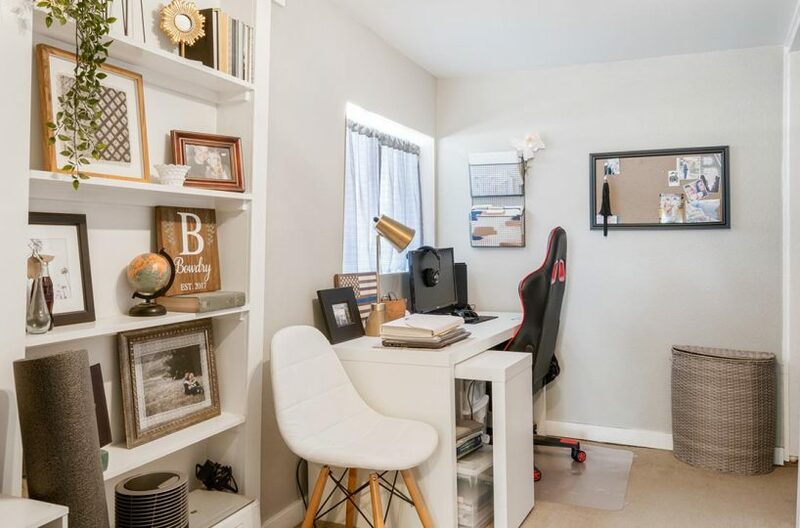 Offering original character while having updates throughout. 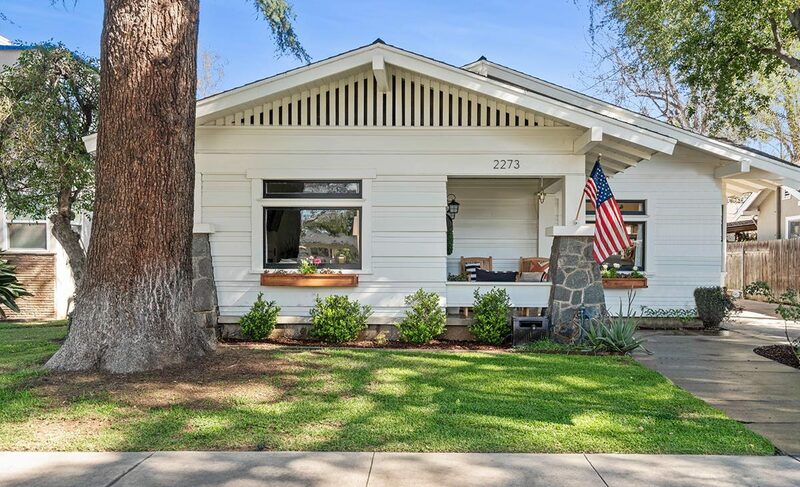 Come fall in love with this Craftsman Style Home. 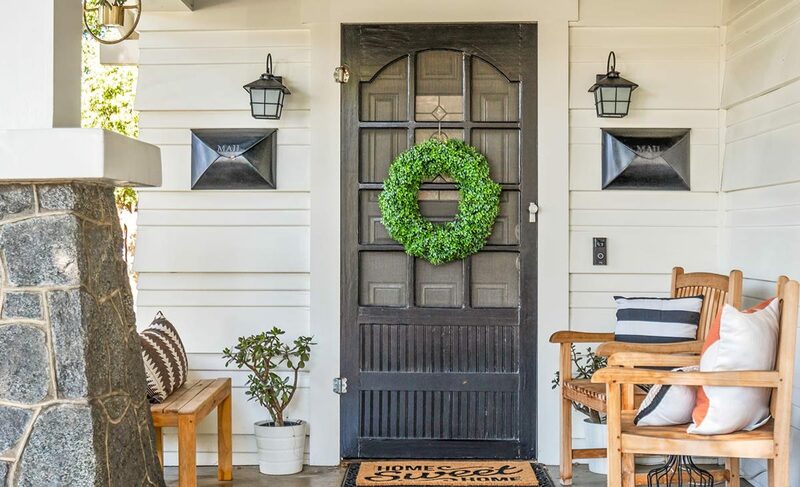 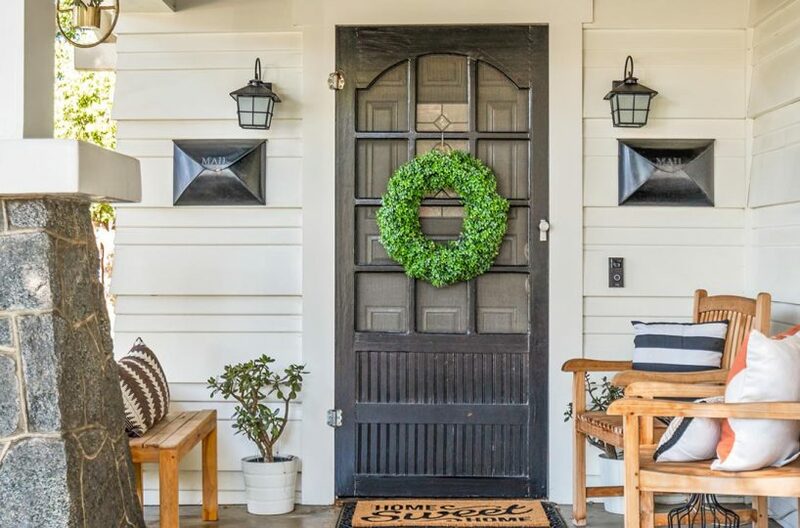 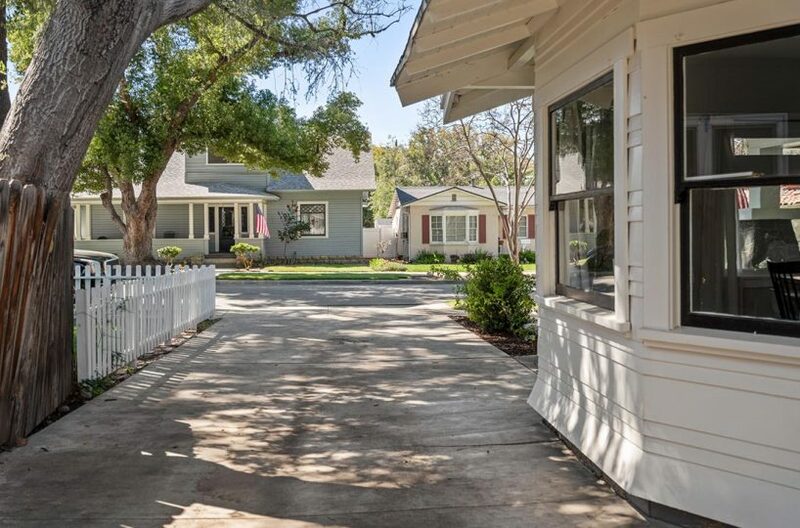 Features include freshly painted exterior, flower boxes, white picket fence, and an inviting front porch. 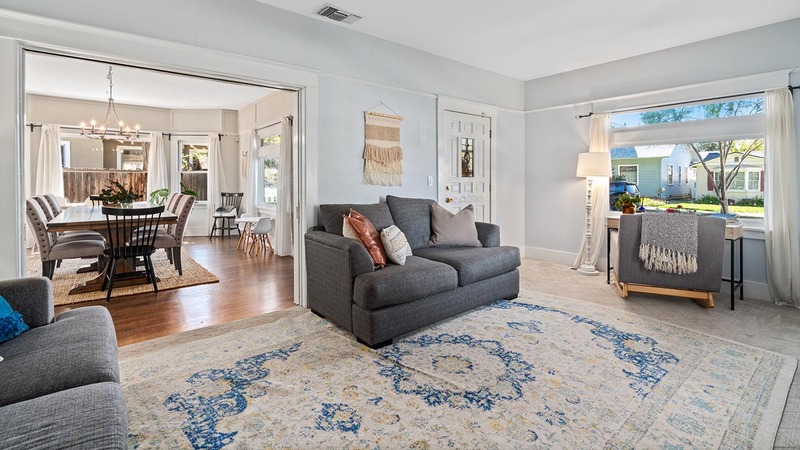 As you enter the formal living room, you immediately feel the warmth of this home. 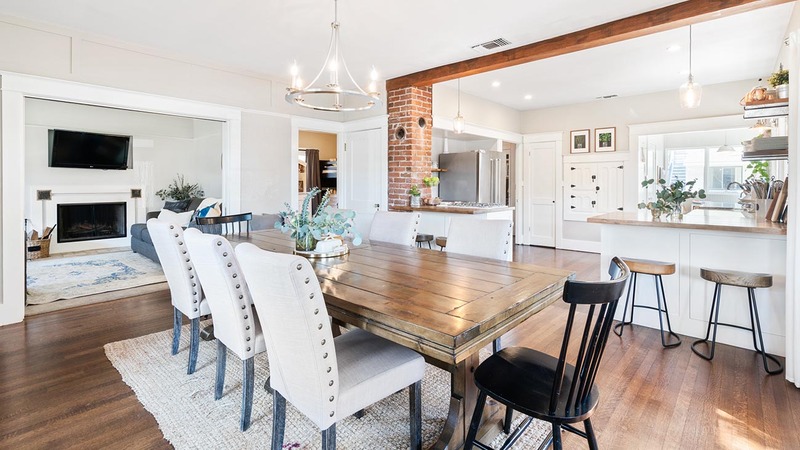 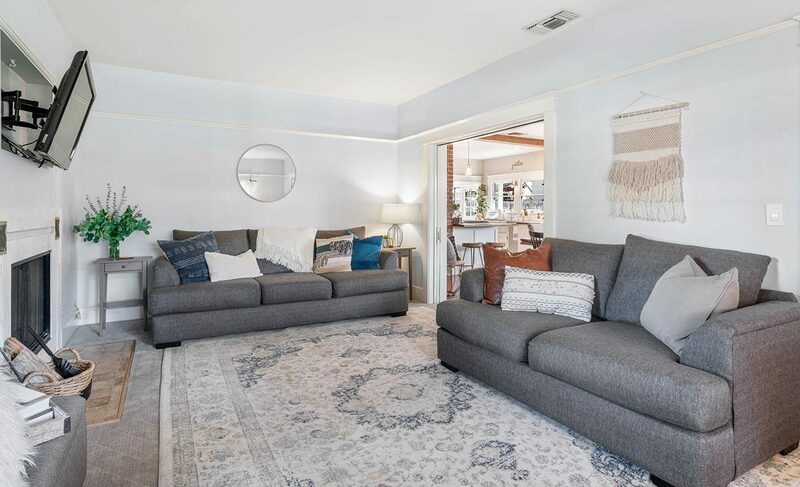 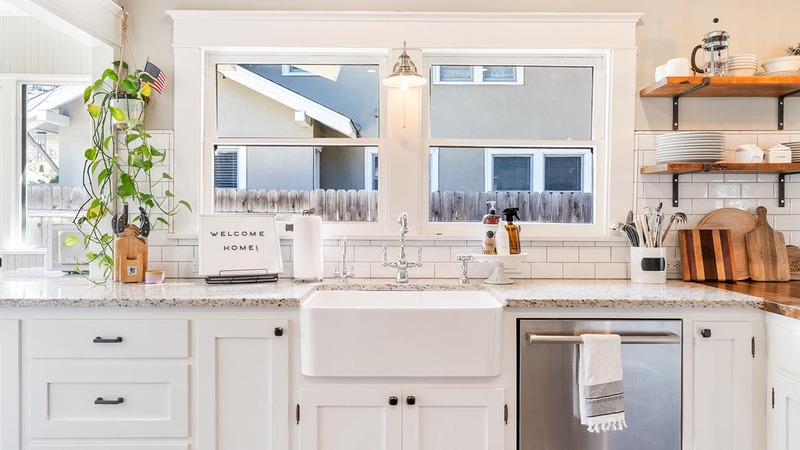 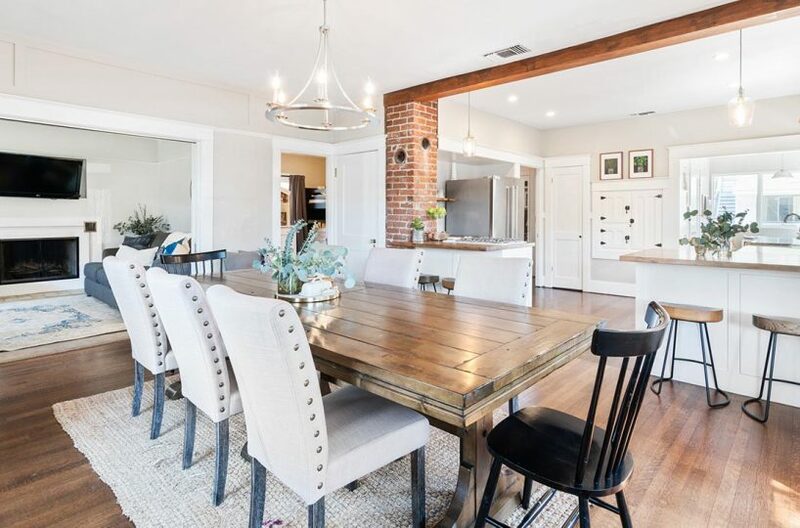 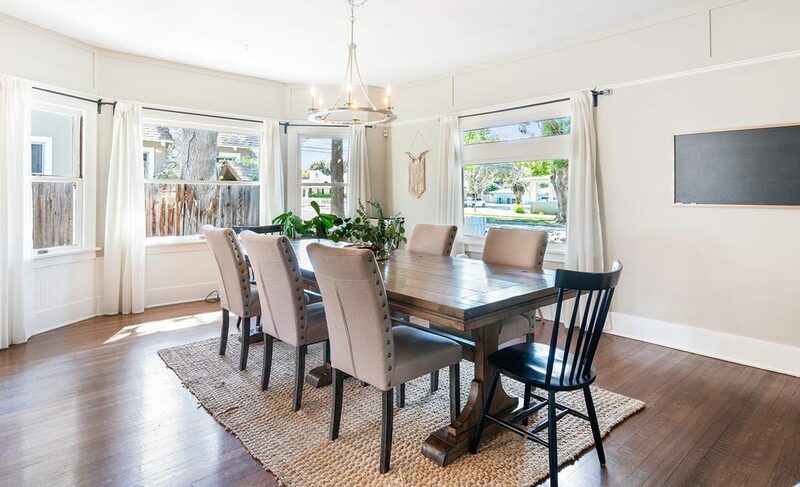 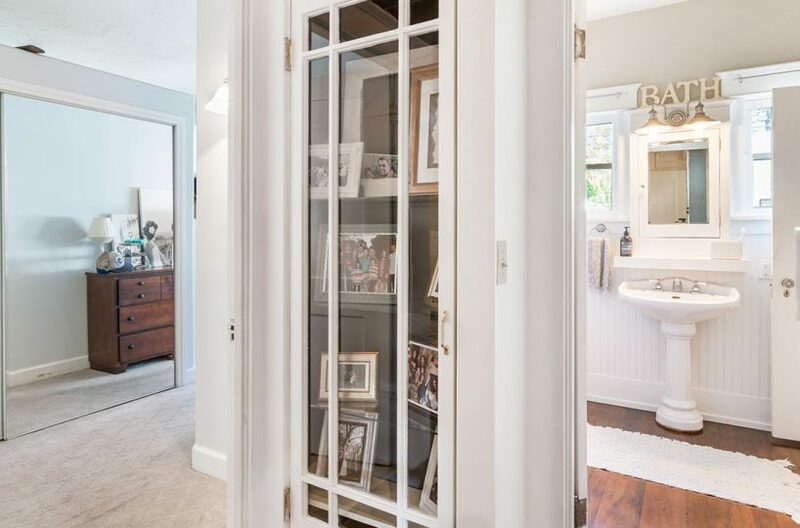 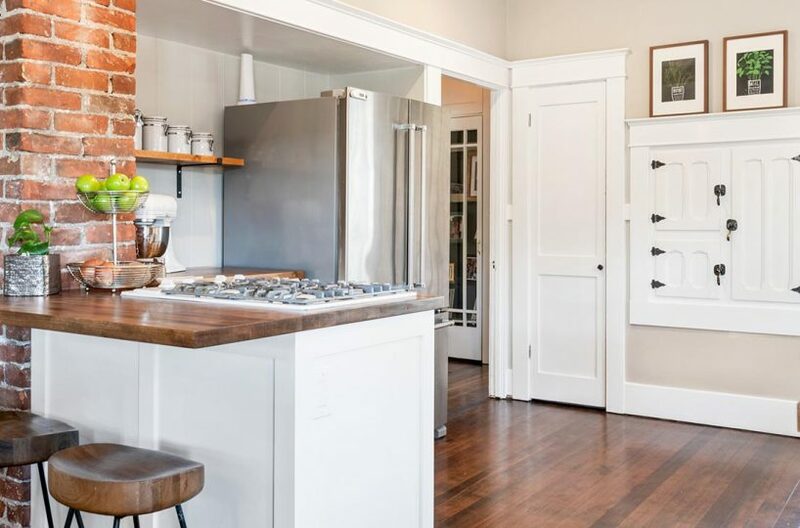 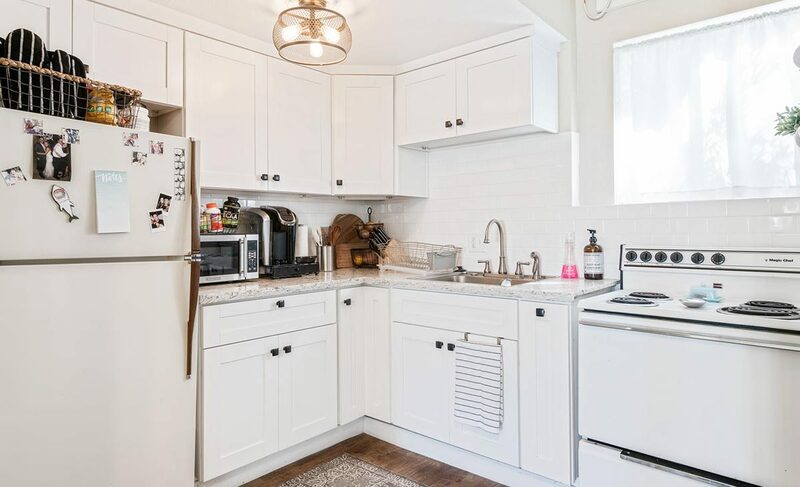 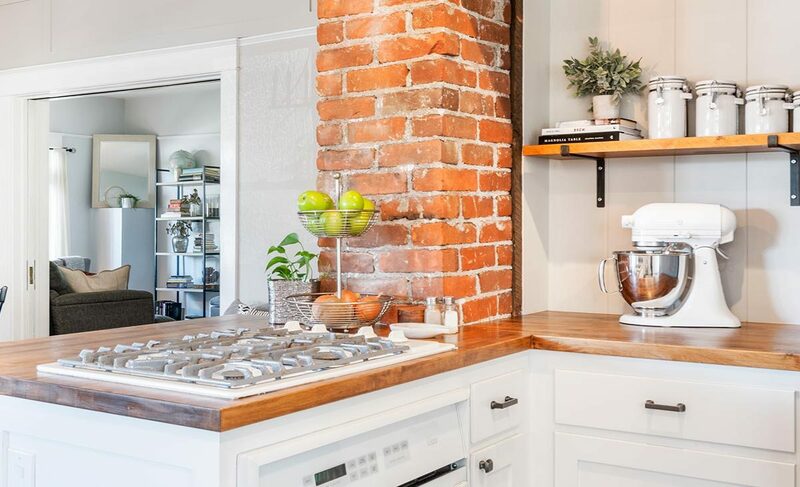 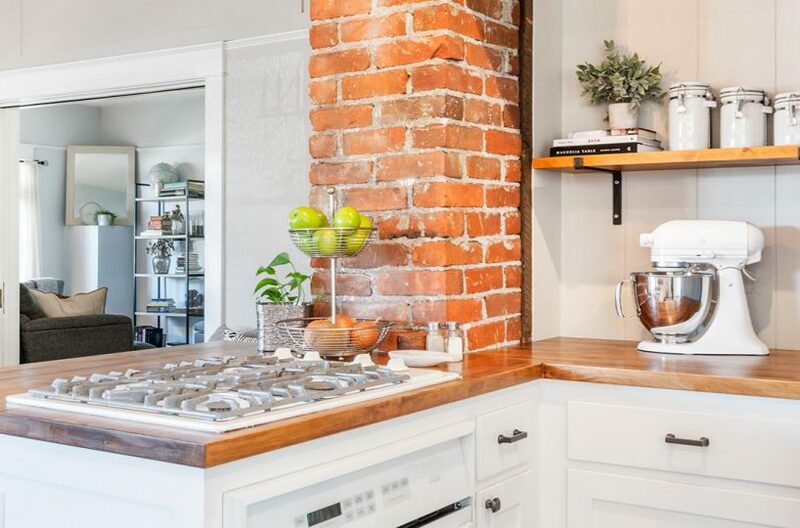 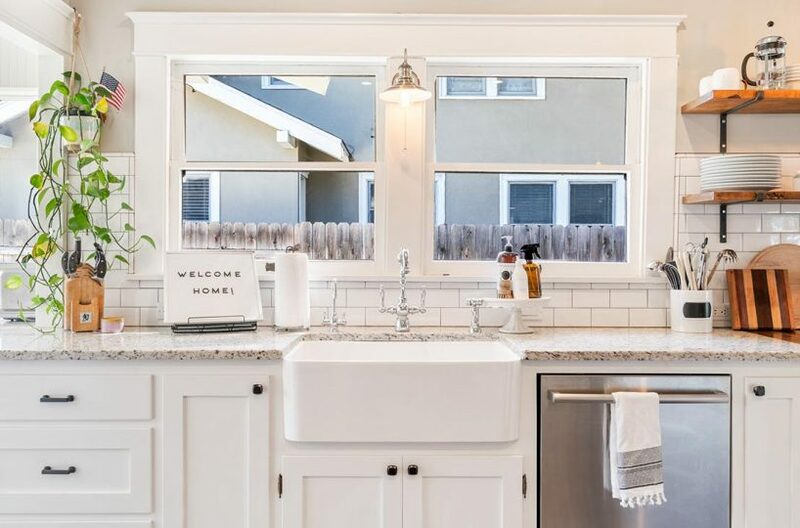 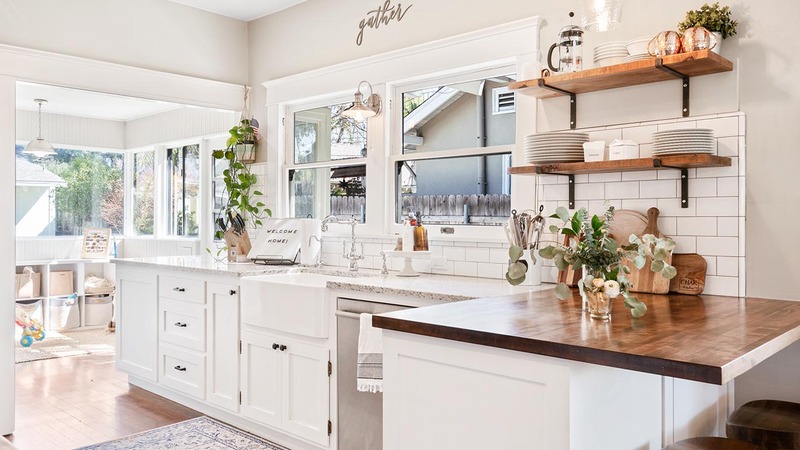 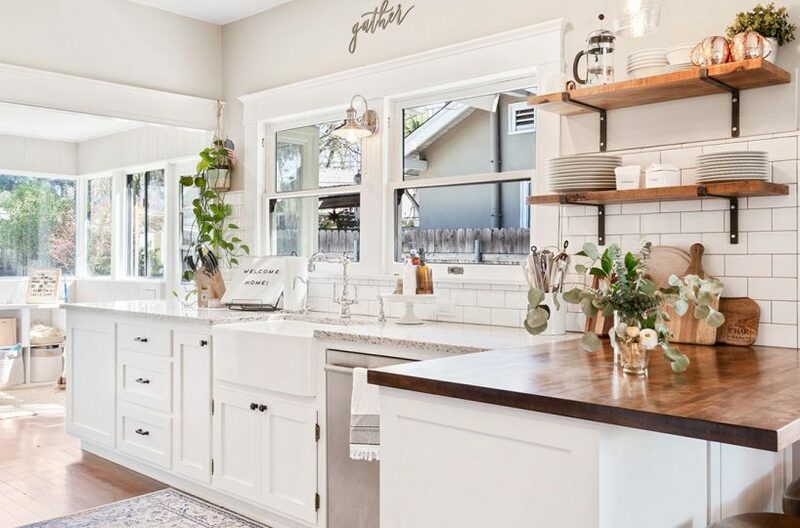 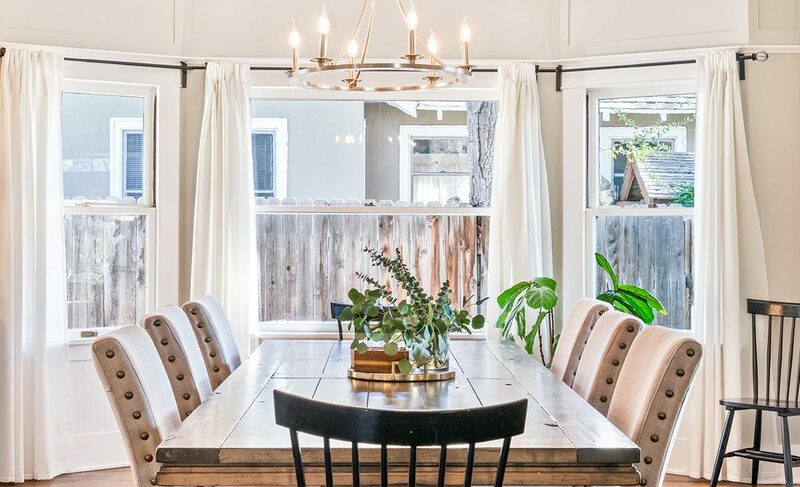 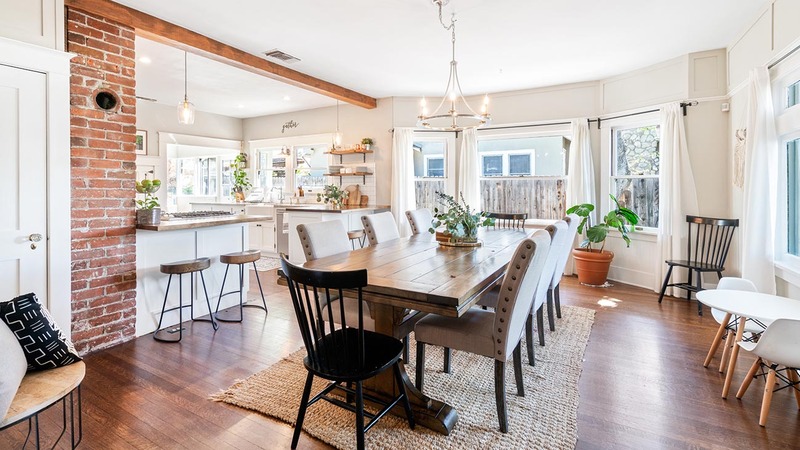 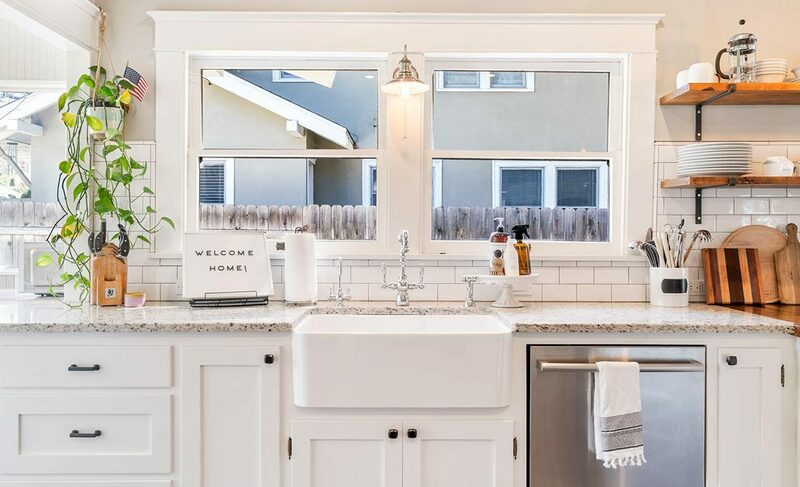 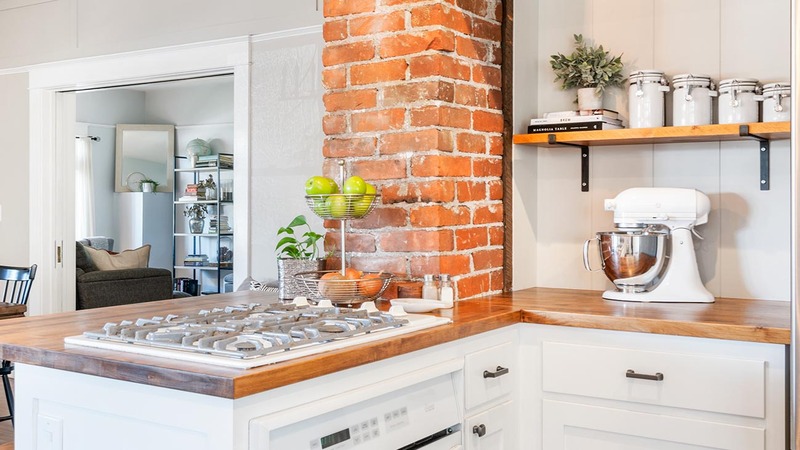 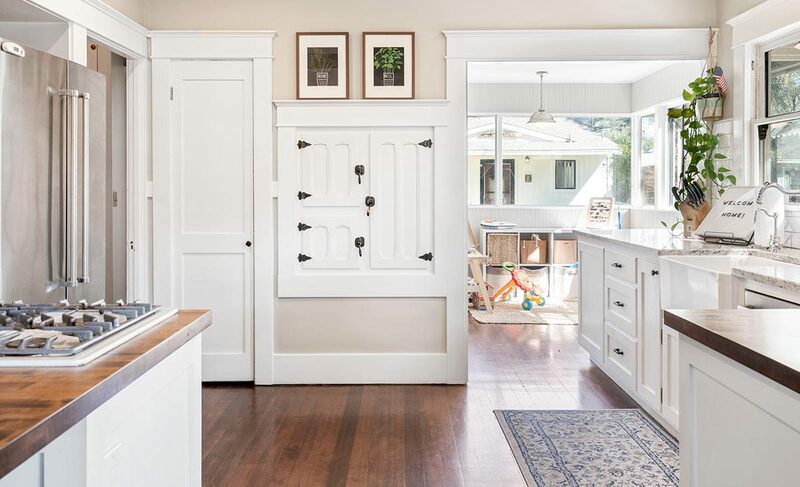 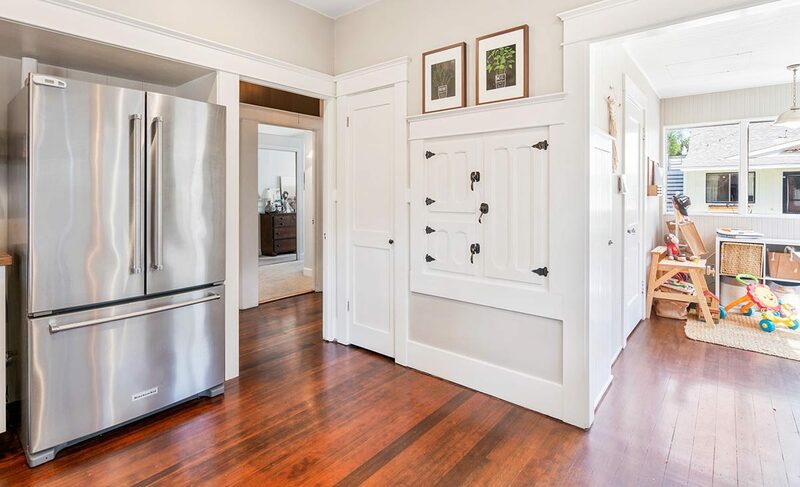 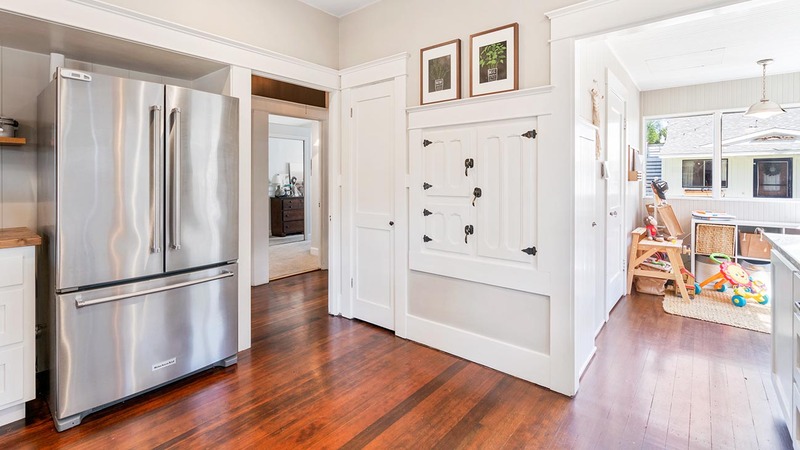 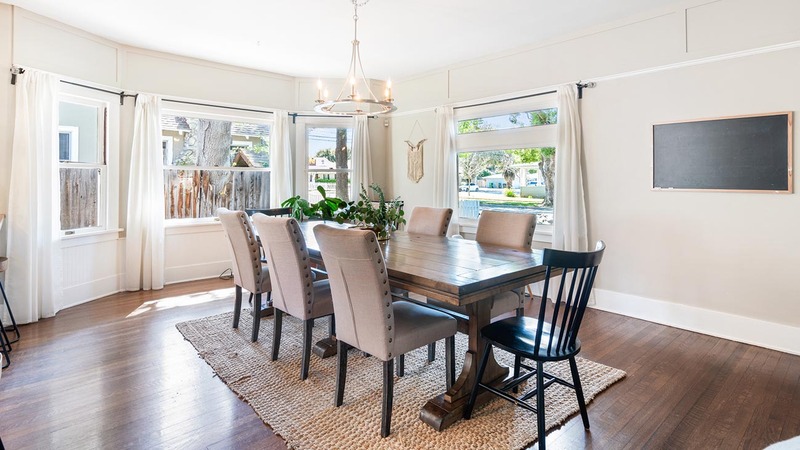 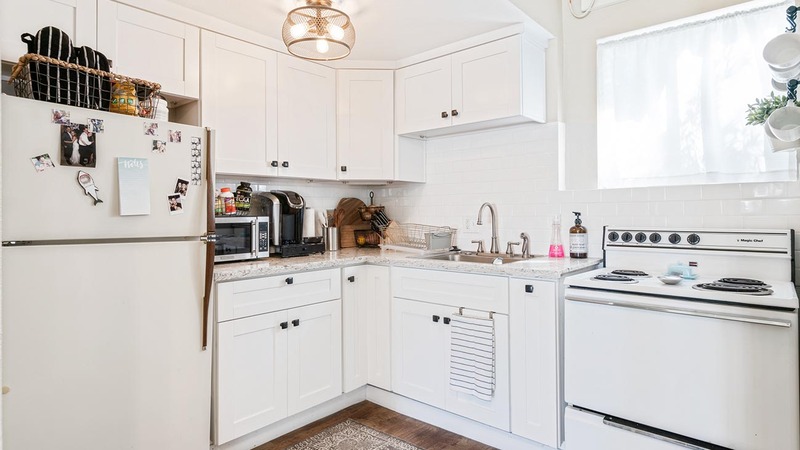 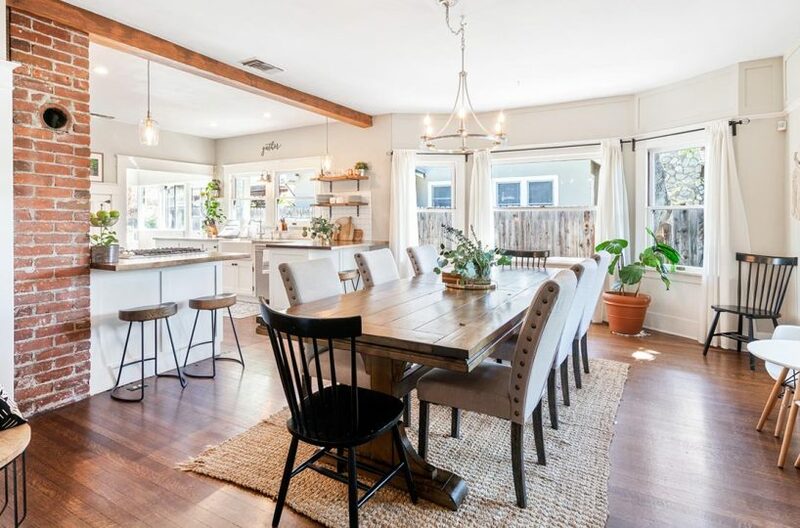 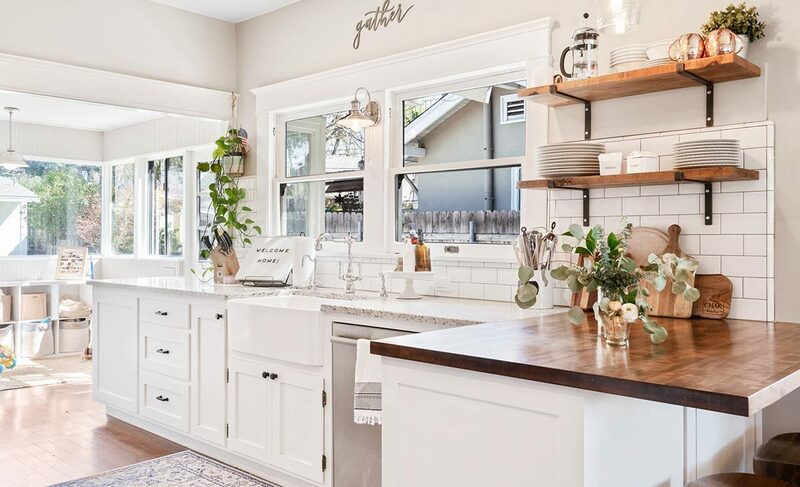 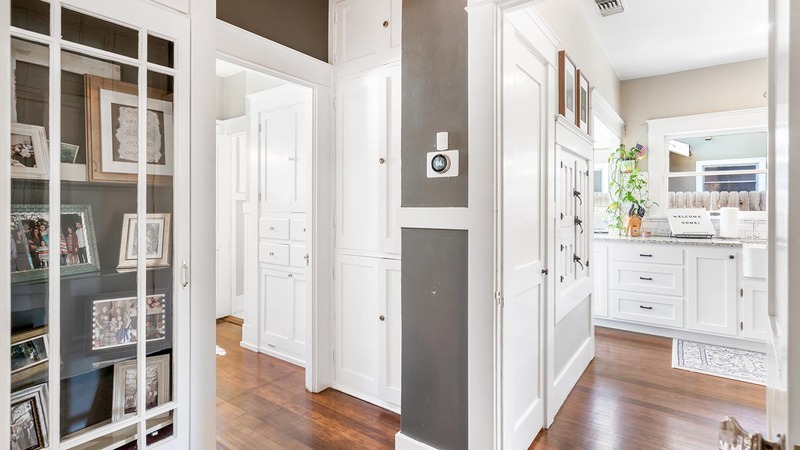 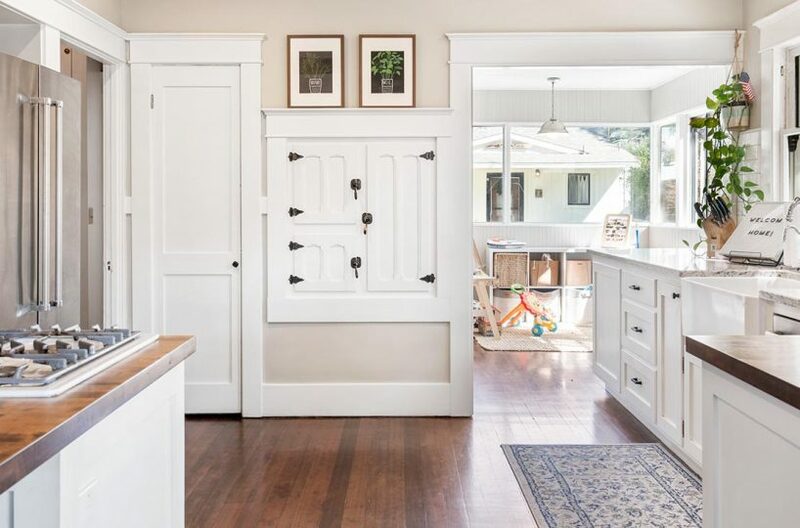 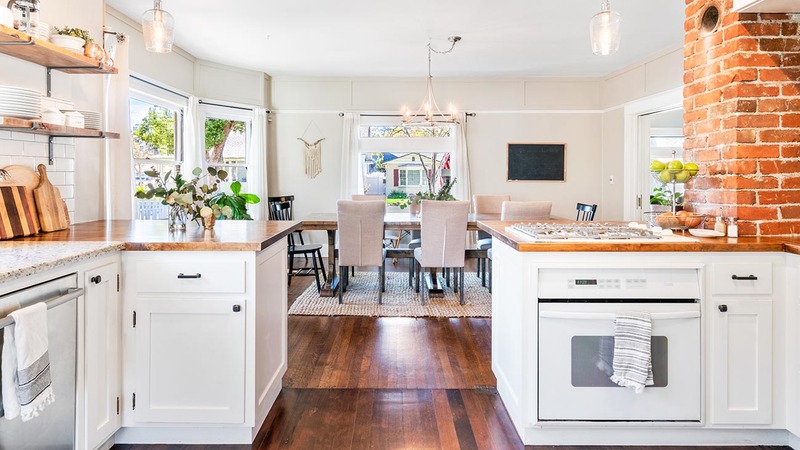 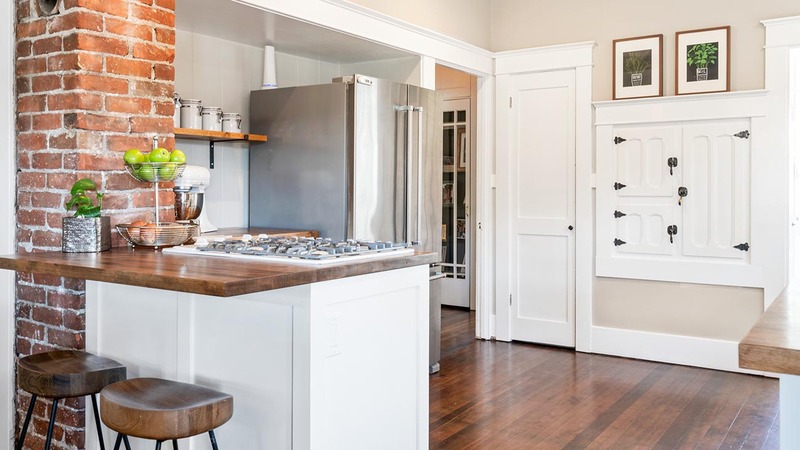 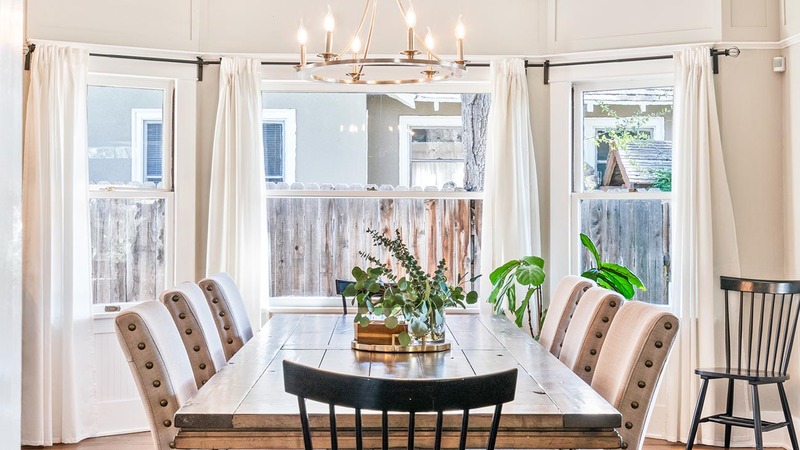 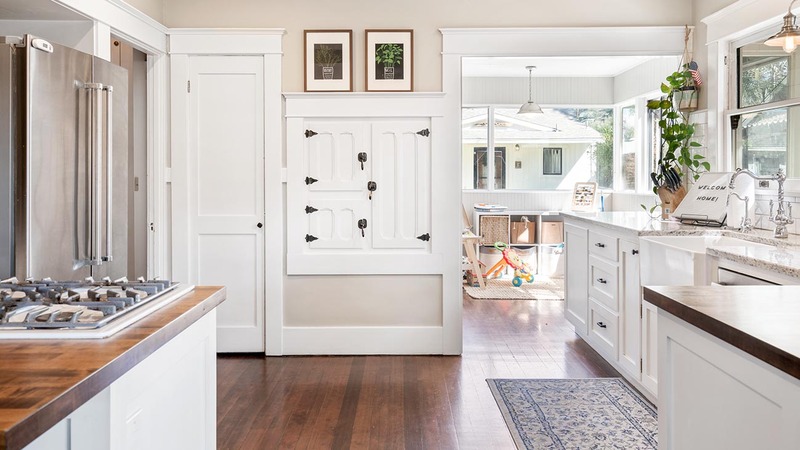 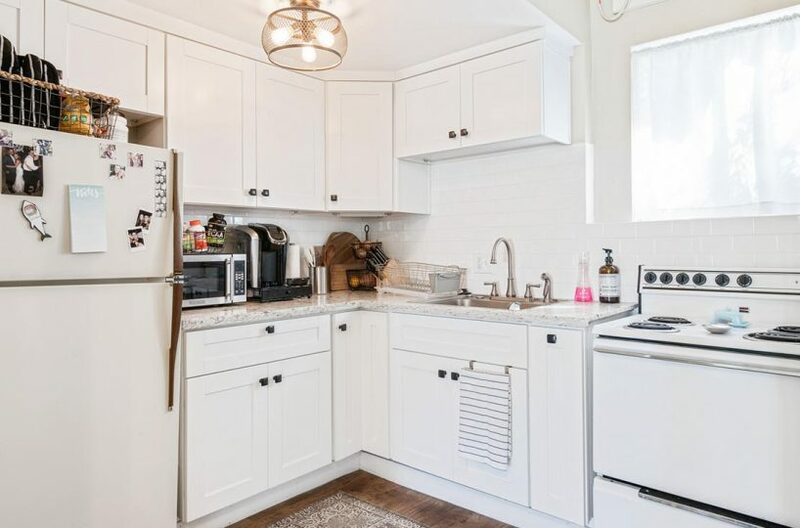 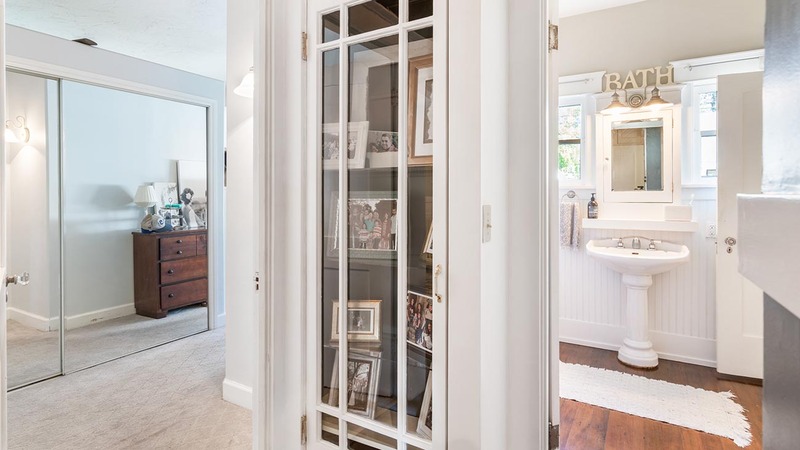 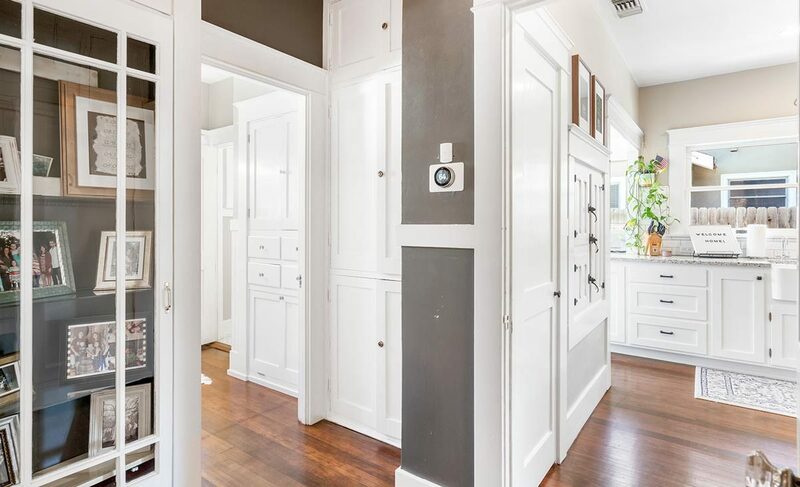 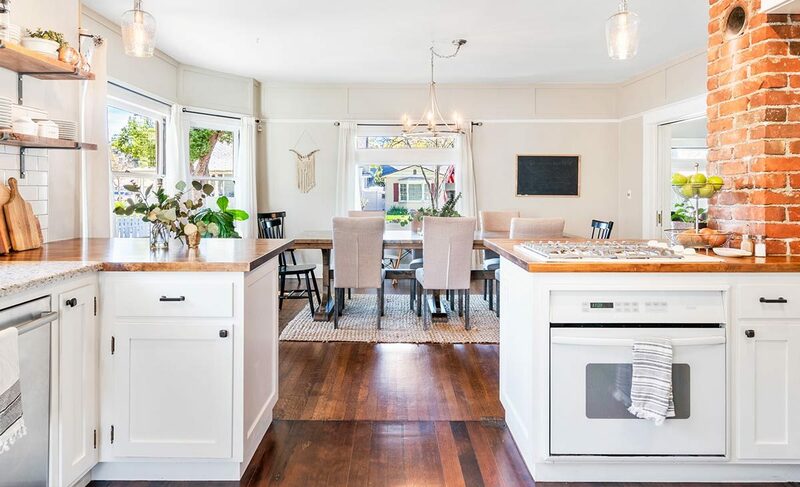 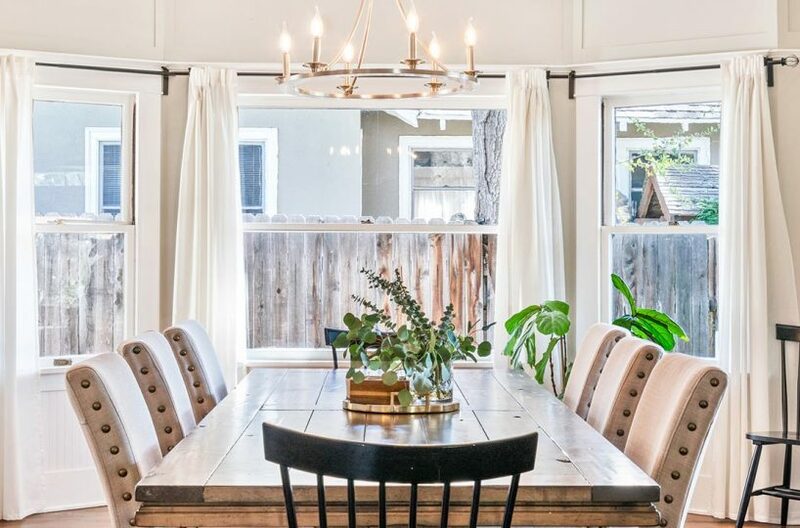 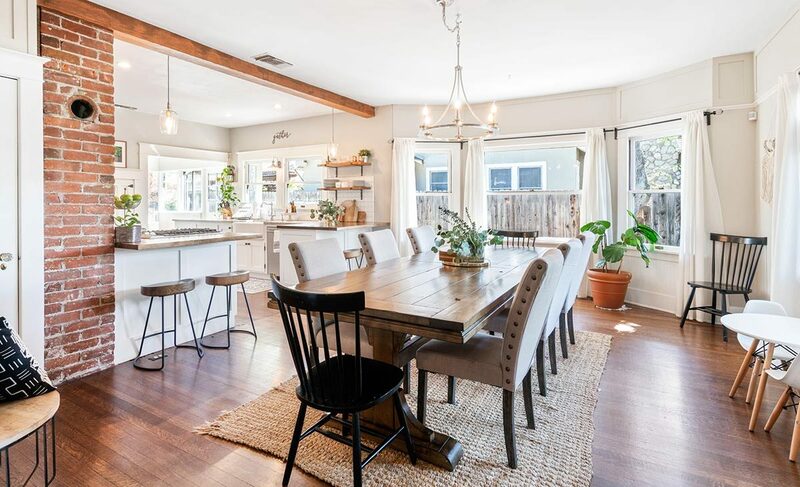 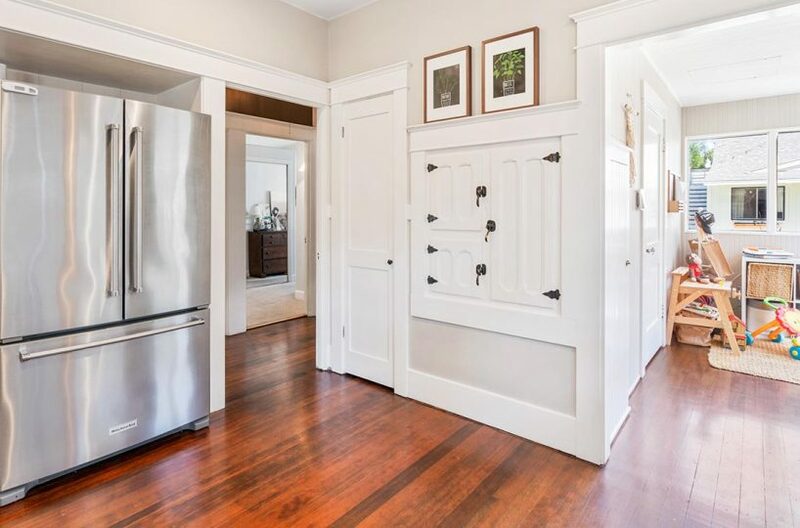 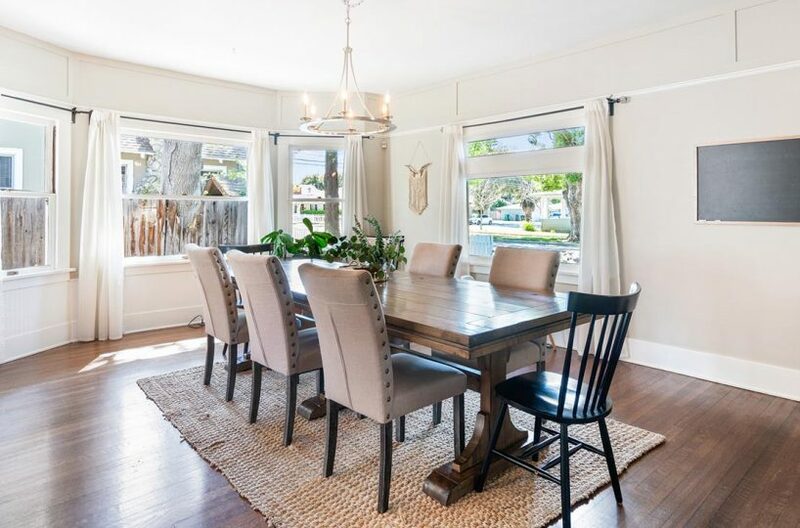 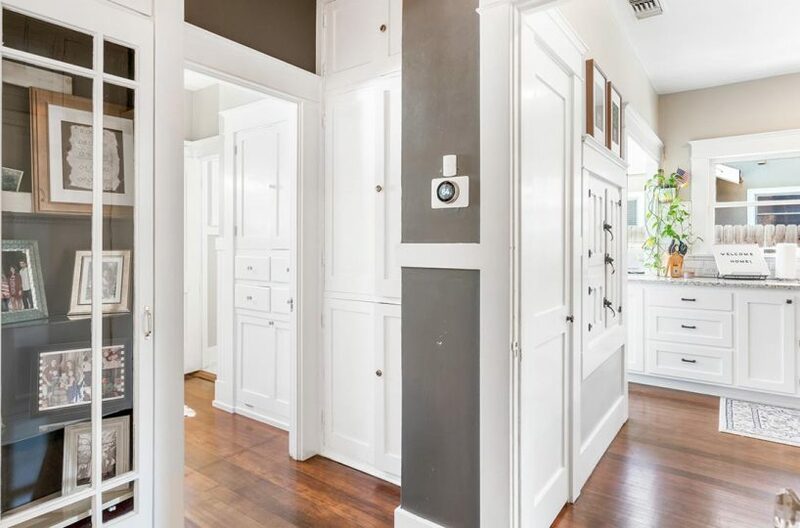 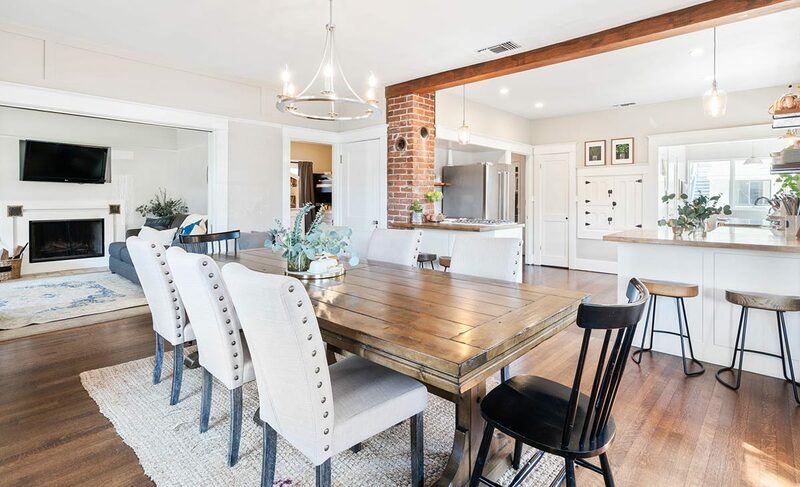 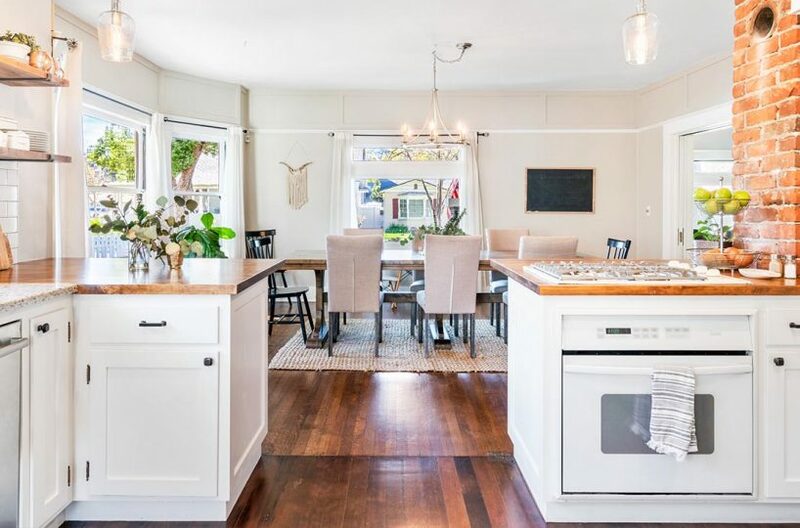 Continuing into the formal dining room opening up to the large updated kitchen, you immediately notice the large white farmhouse style sink, and custom light fixtures, this home has it all. 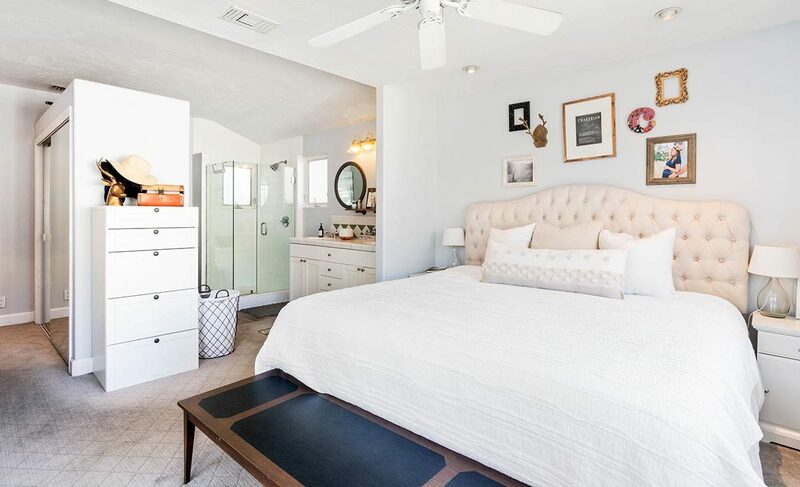 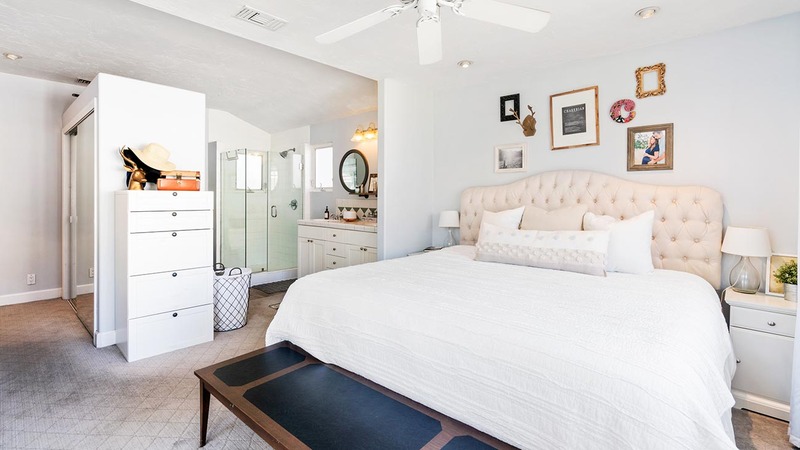 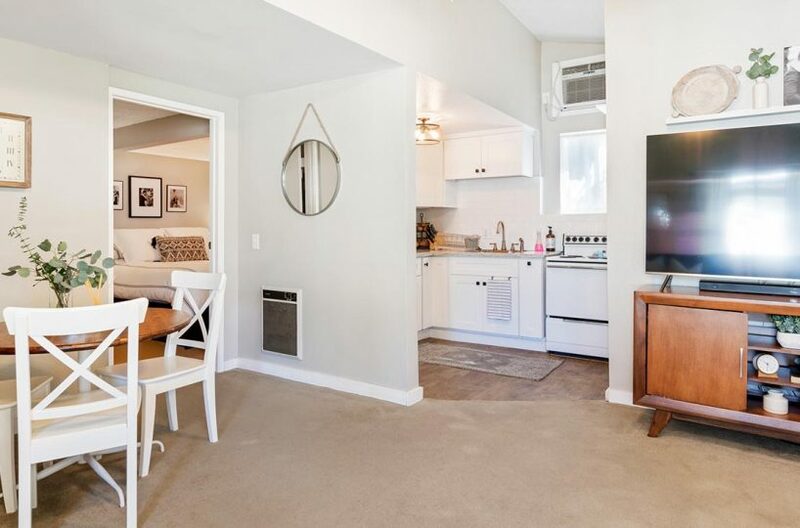 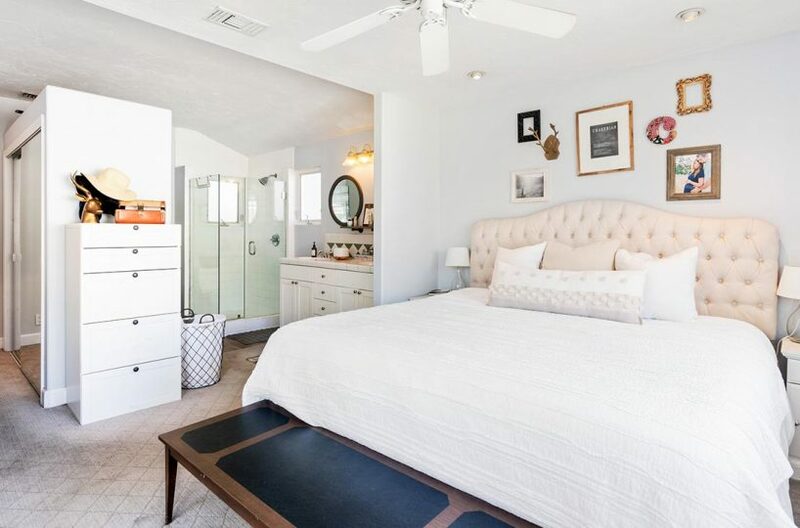 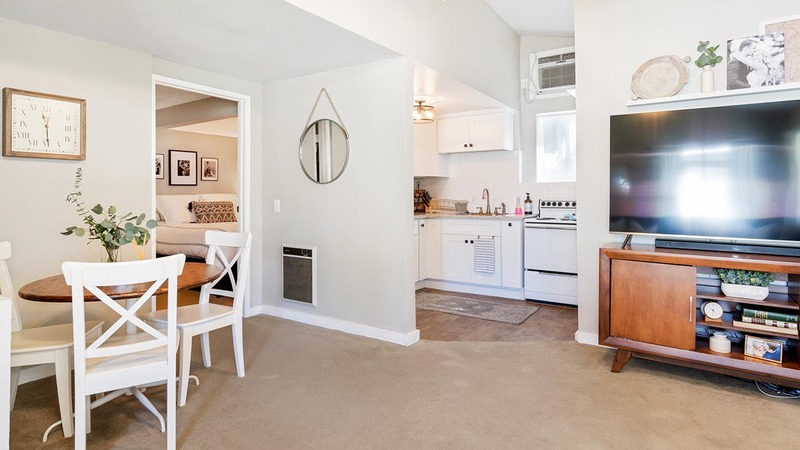 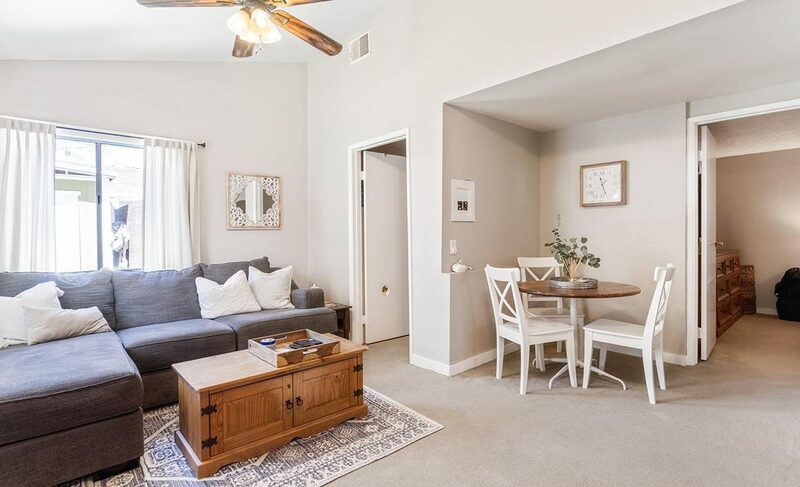 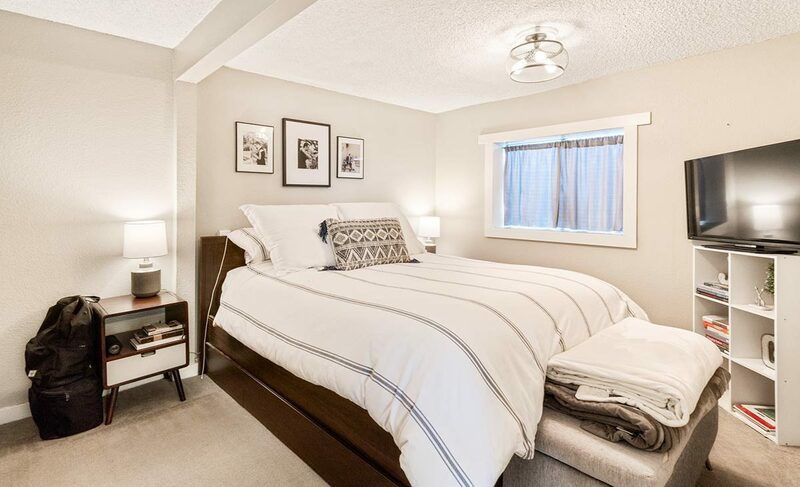 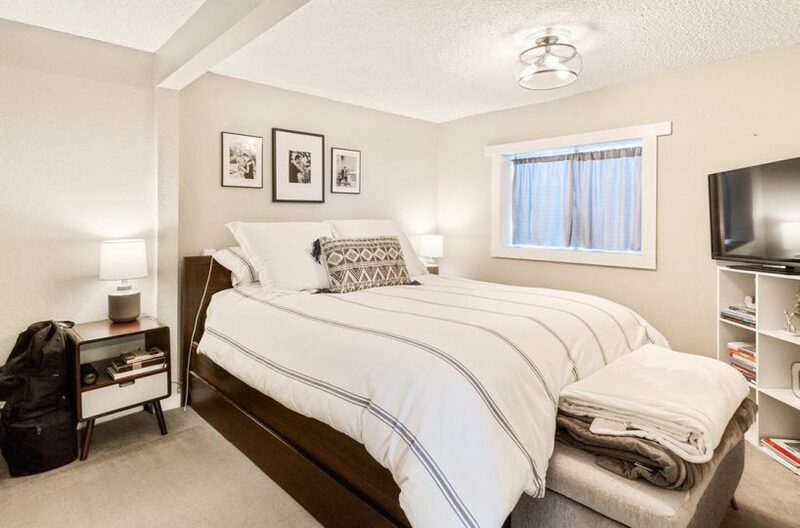 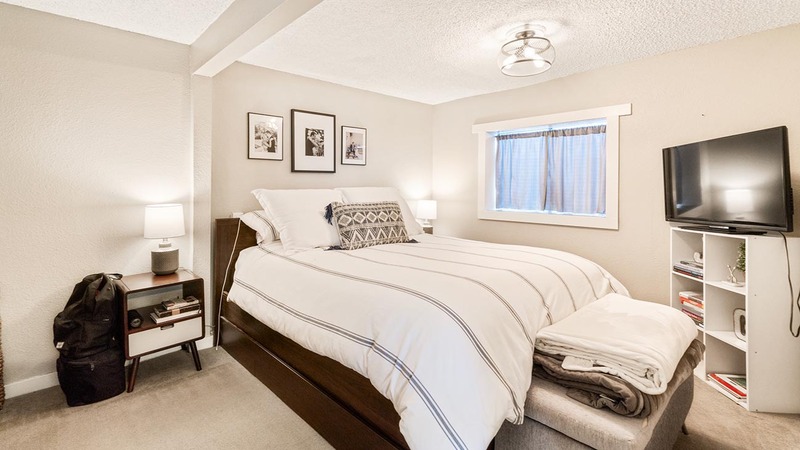 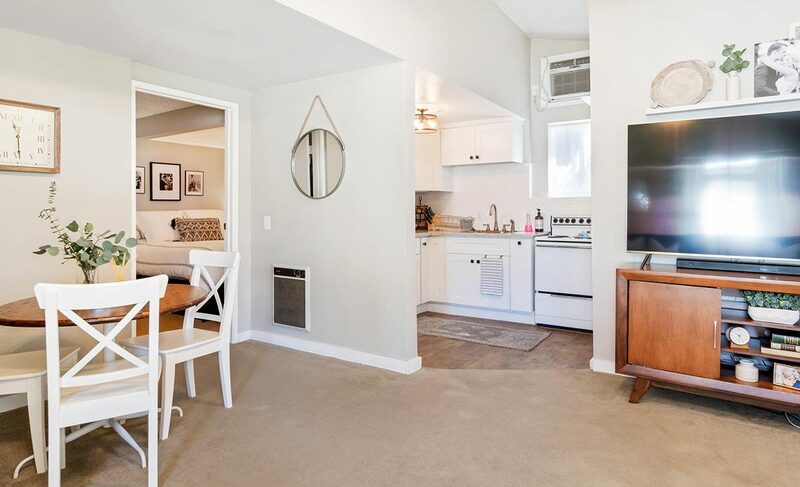 The two bedrooms are large in size with ample storage. 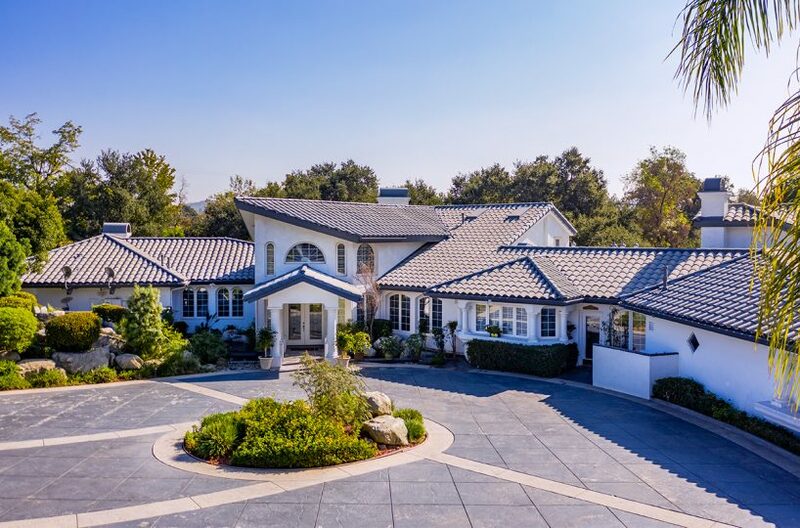 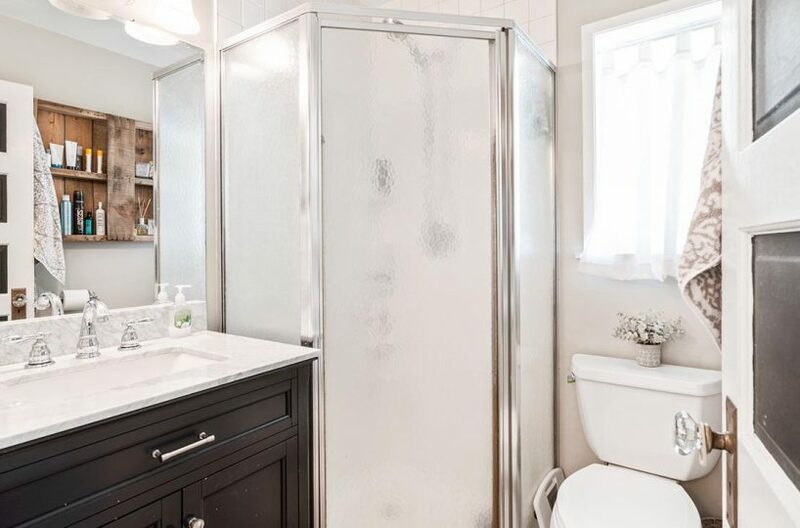 The master has an attached 3/4 bathroom which is unique and a benefit to this style home. 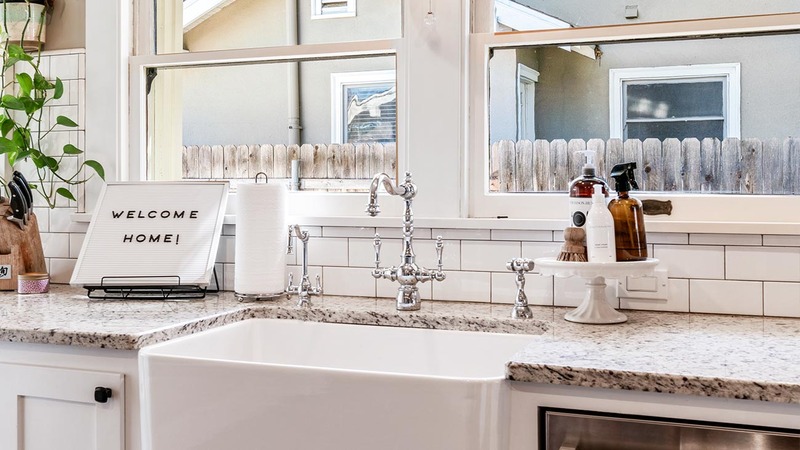 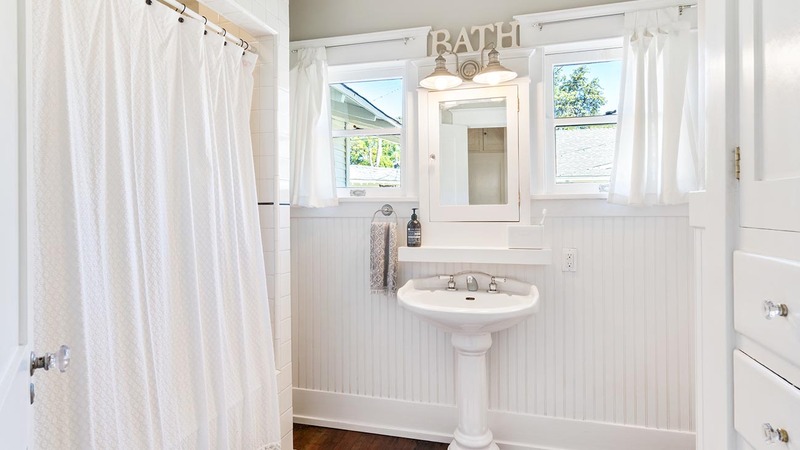 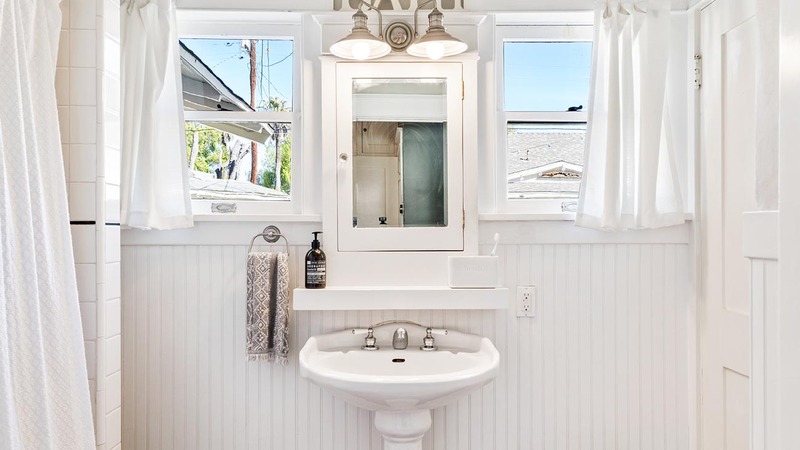 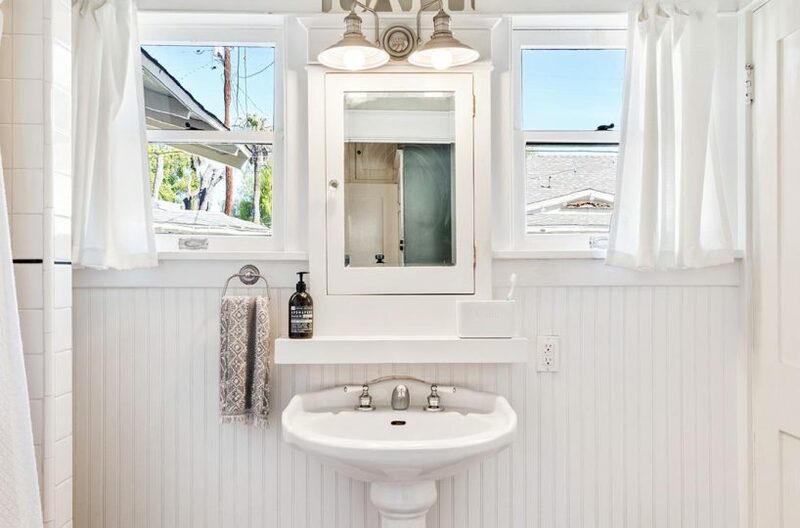 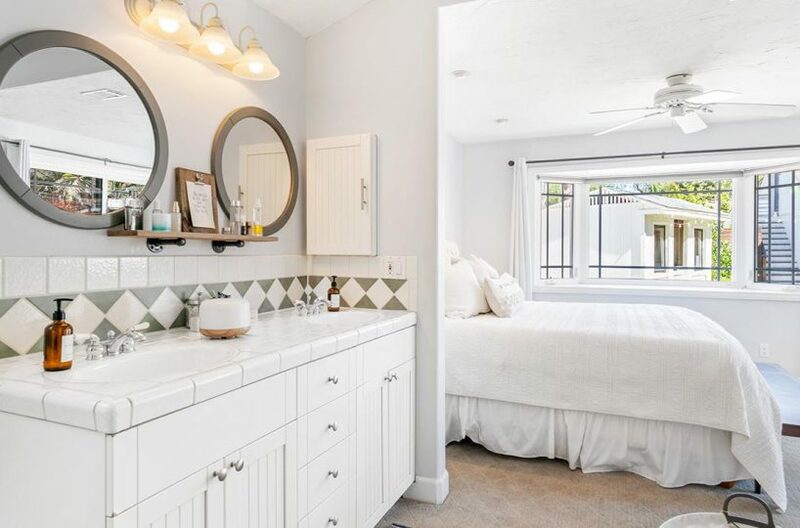 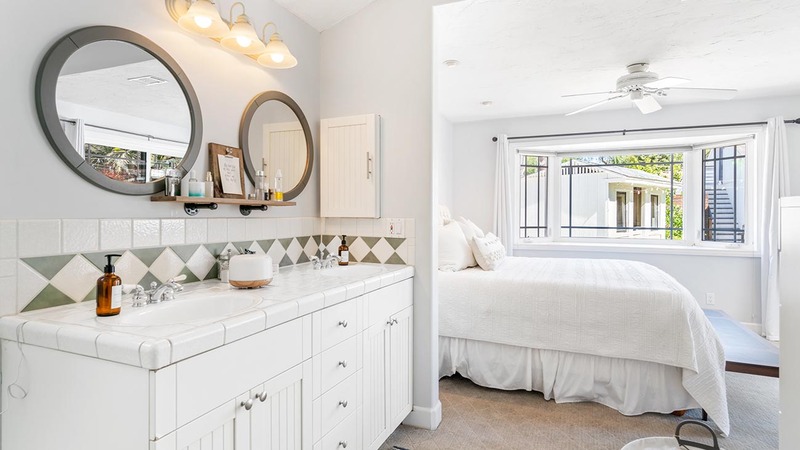 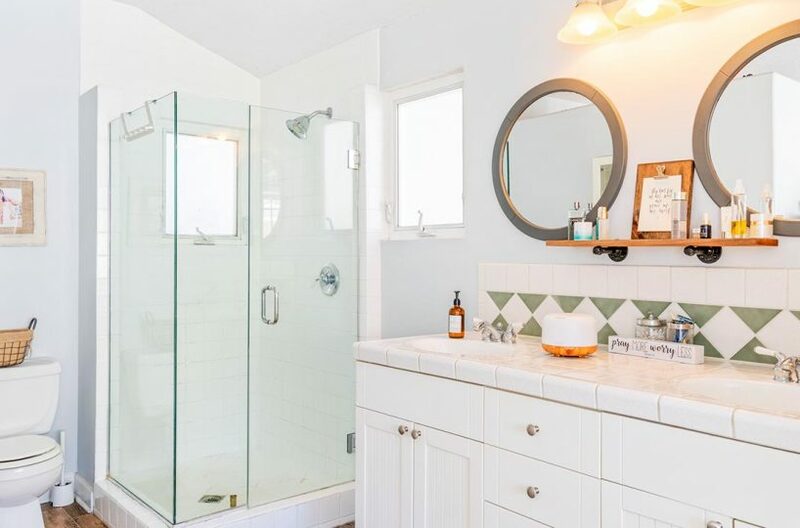 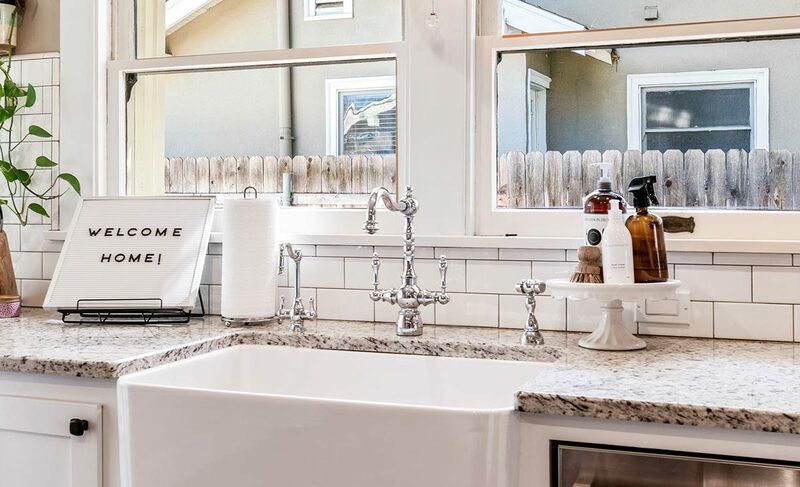 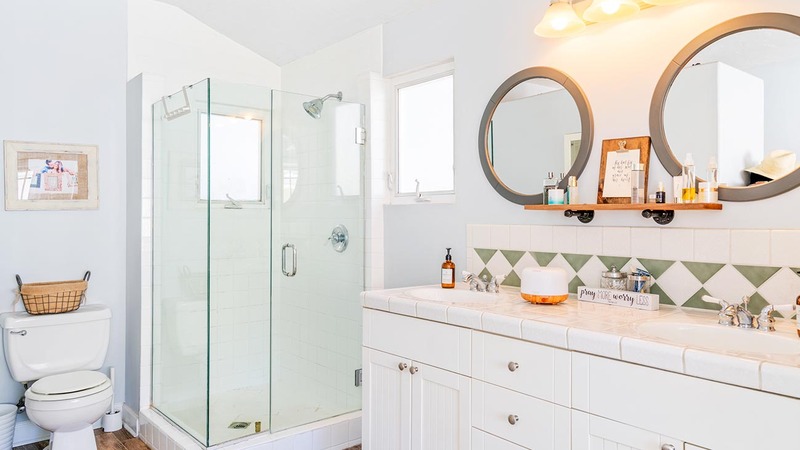 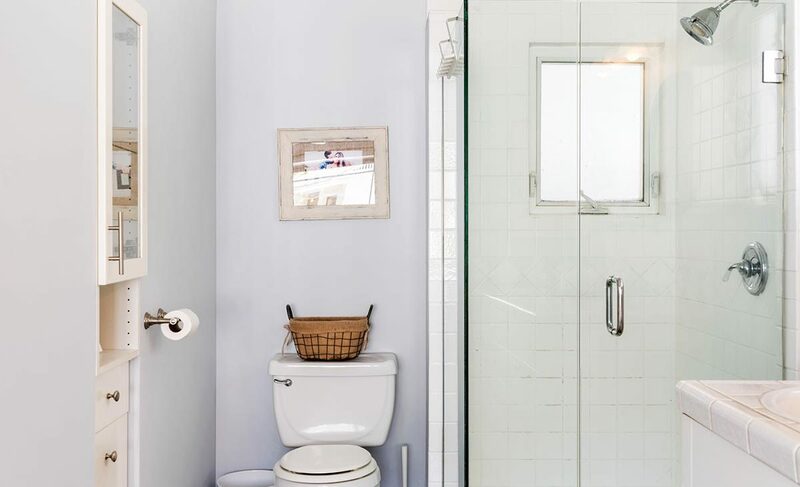 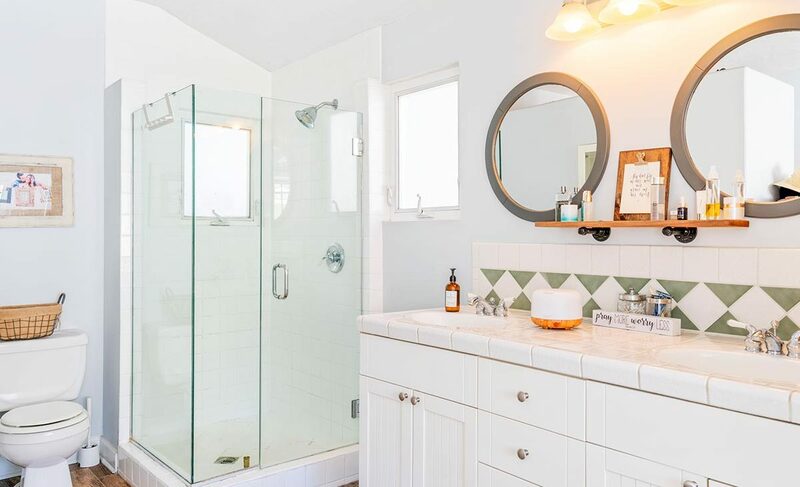 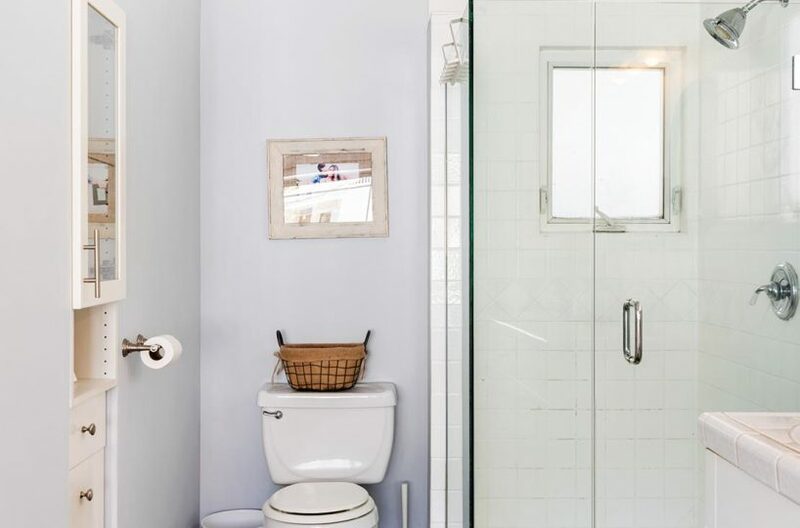 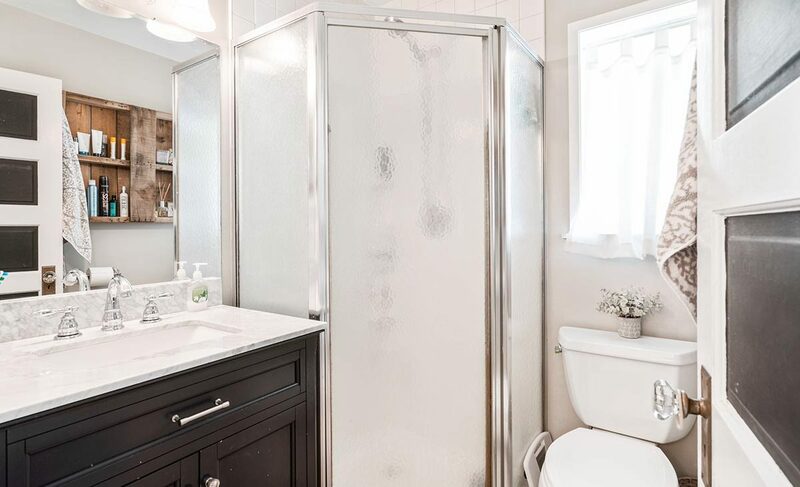 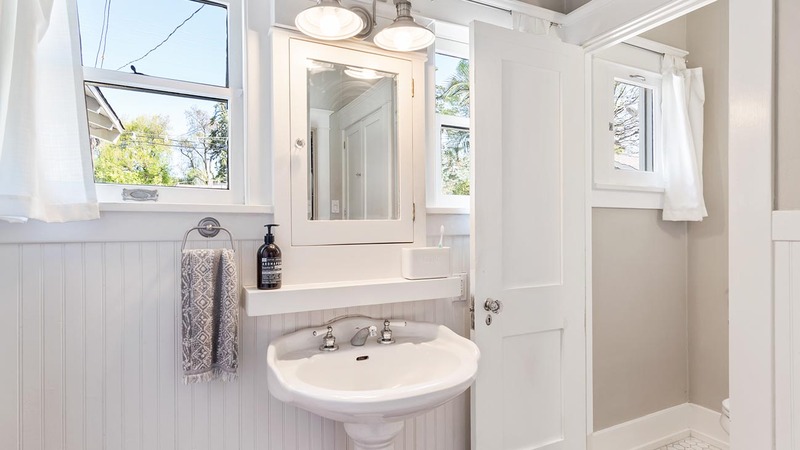 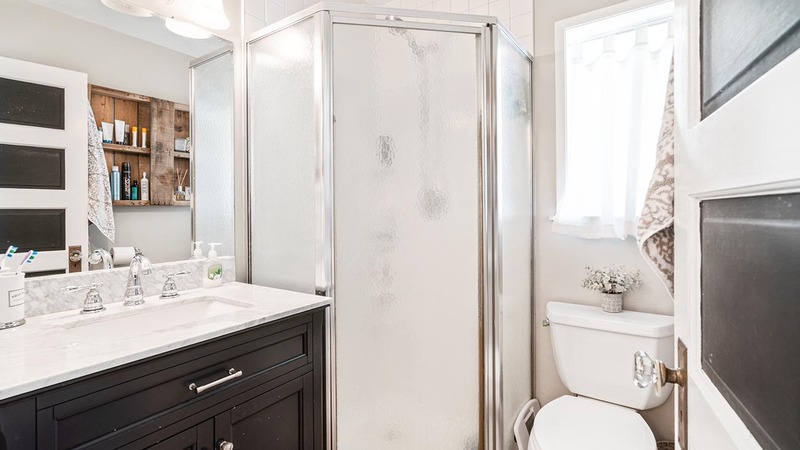 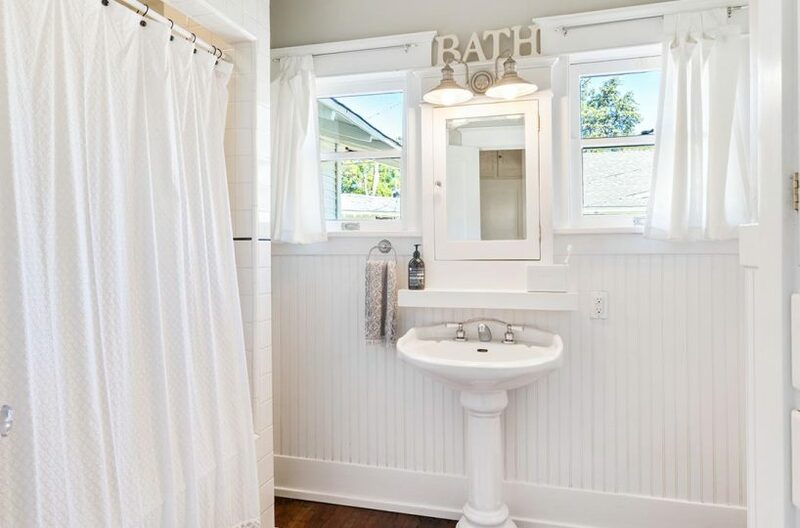 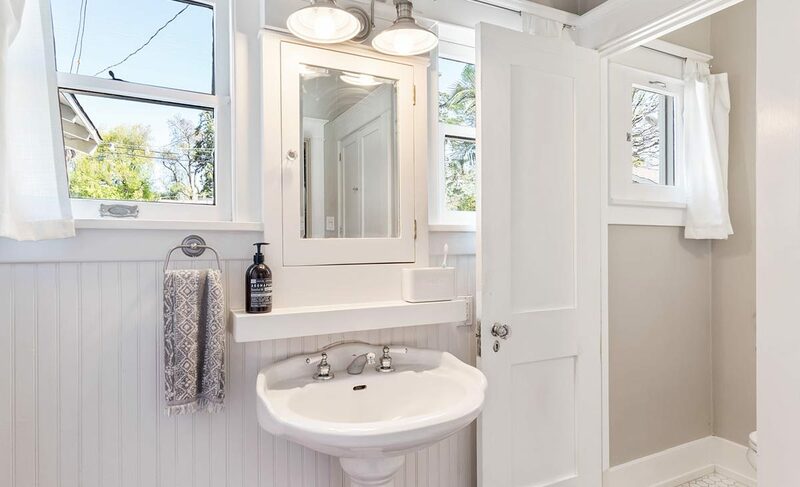 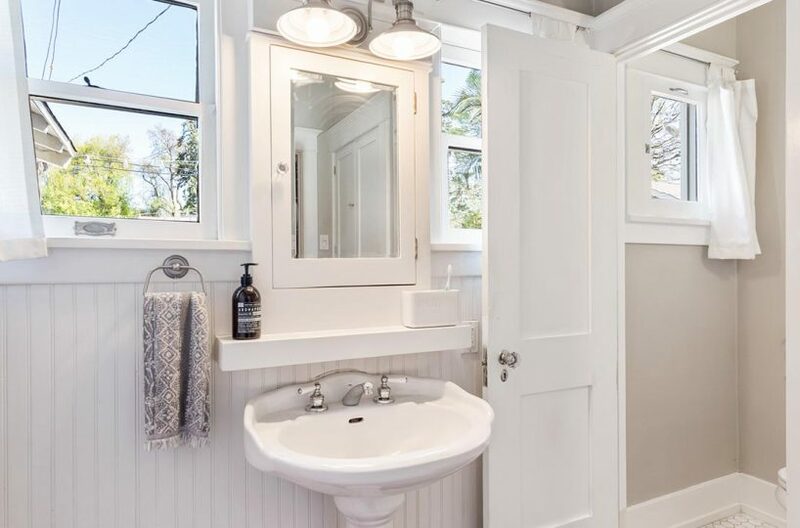 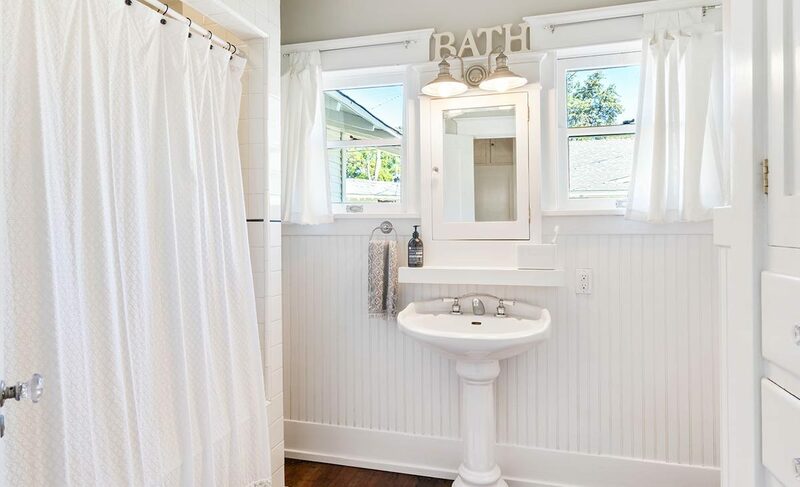 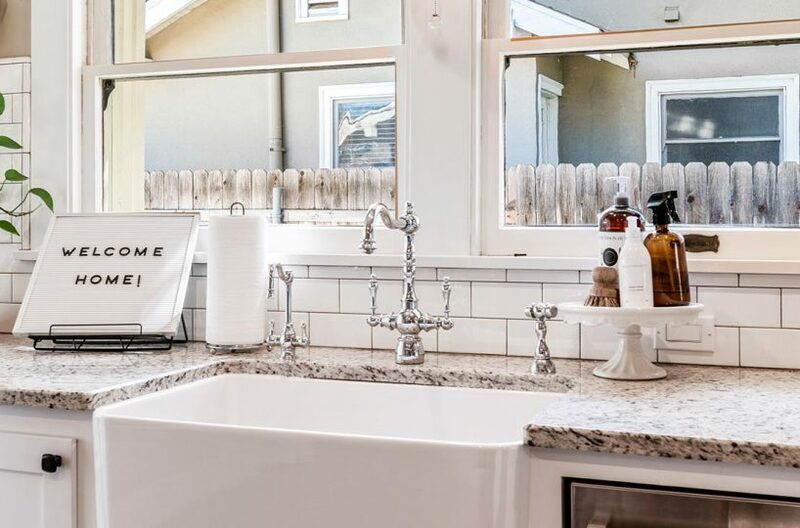 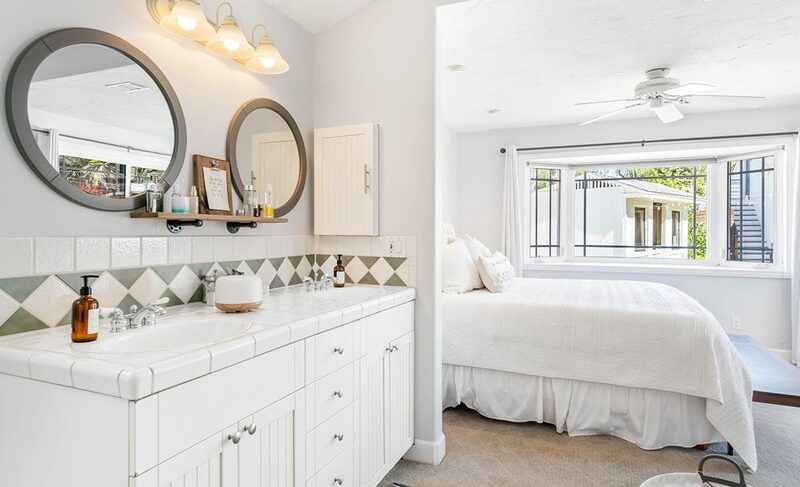 The additional full bathroom has built in cabinets, a white pedestal sink, and a large bathtub. 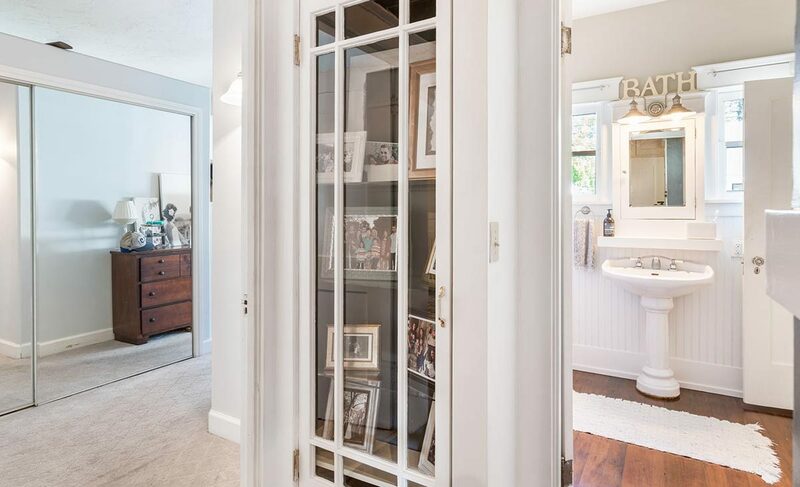 Also, included in the main house is an unfinished basement area that is used for additional storage. 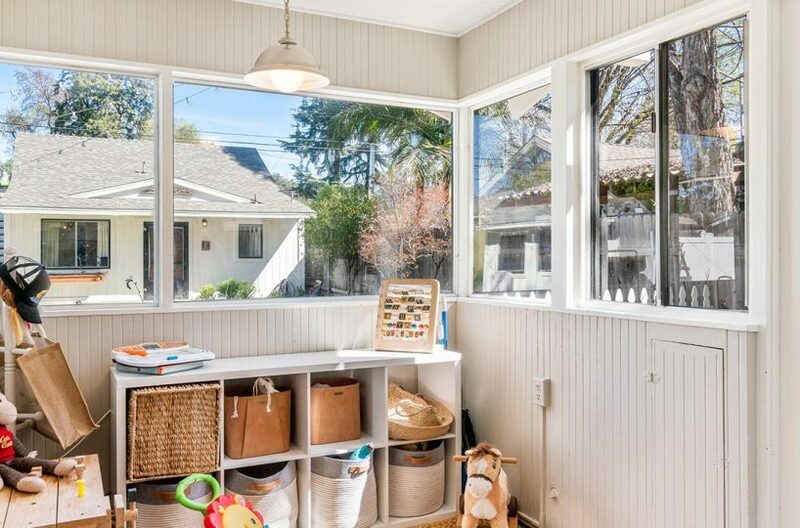 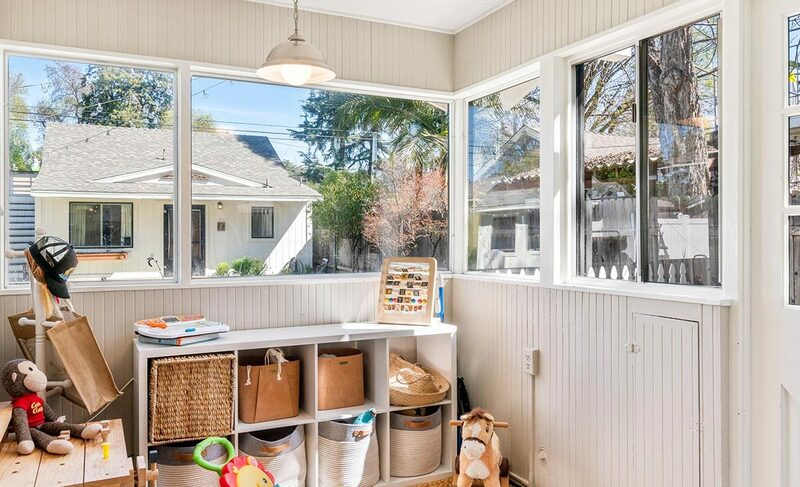 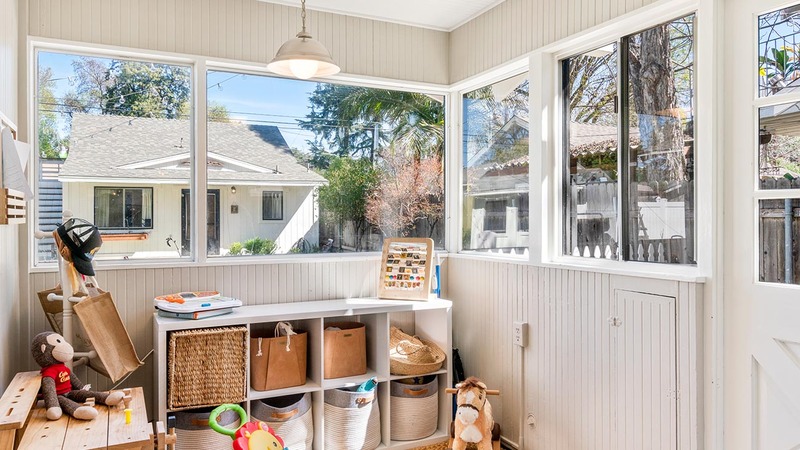 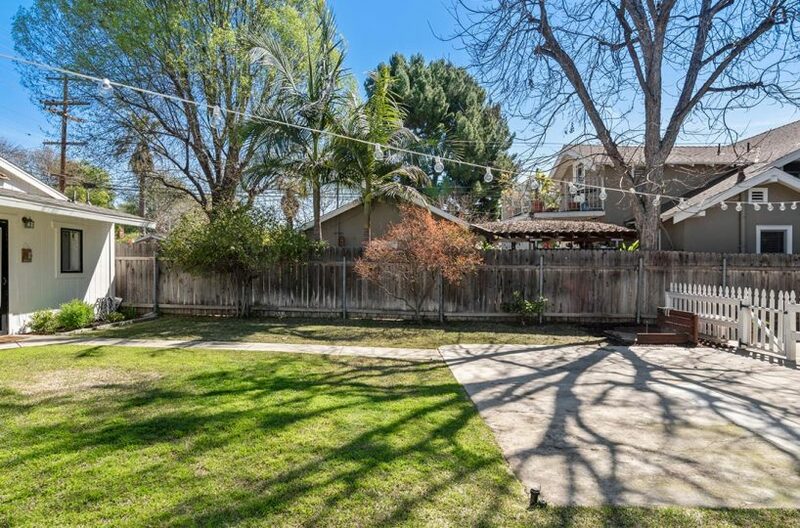 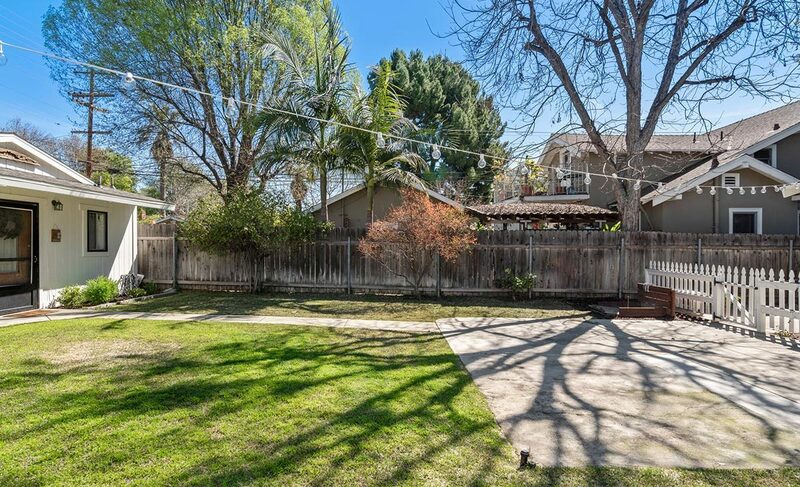 Step outside to the large backyard where there’s an area to host party’s and entertain, an out building for laundry, a large storage shed, a sand box, and a fire pit. 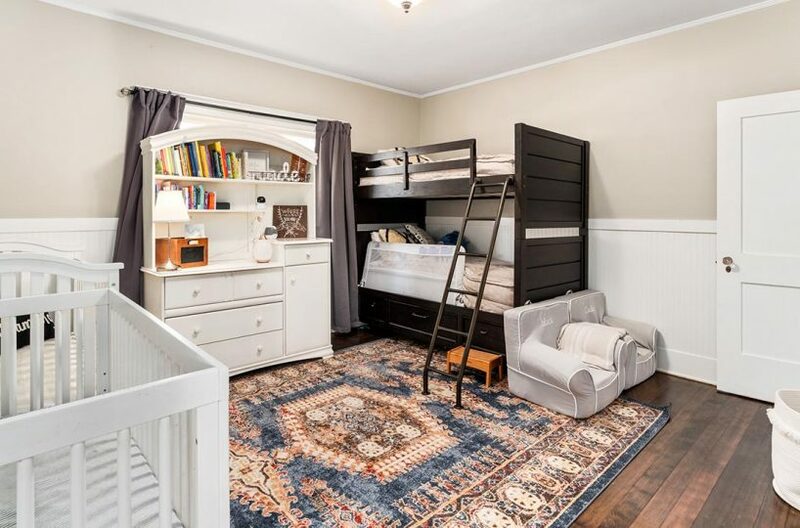 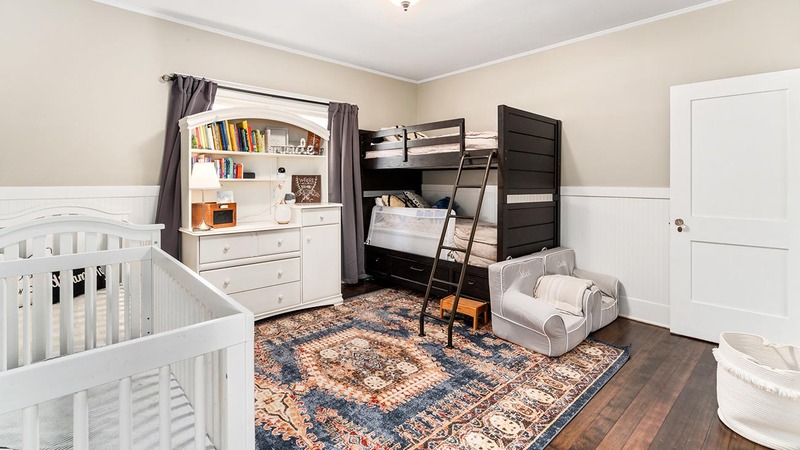 The two car garage has been converted to a two bedroom, updated back house which also has a large attic/storage area above. 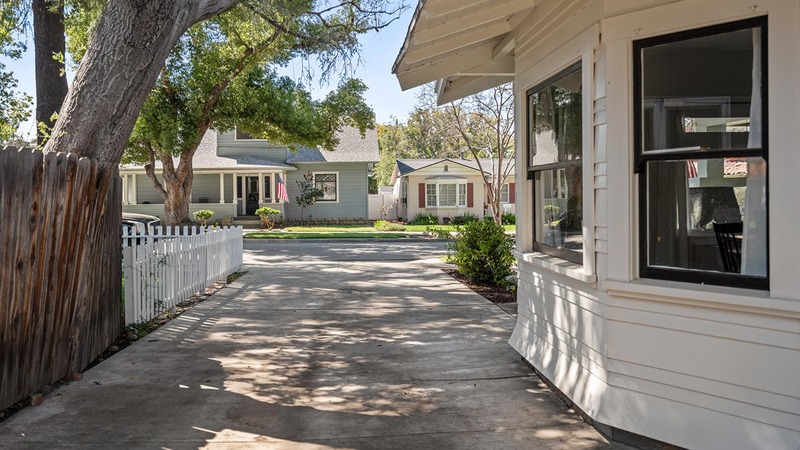 There are two uncovered spaces for parking behind the back house, with access to the alley, and two additional tandem spaces in the front driveway. 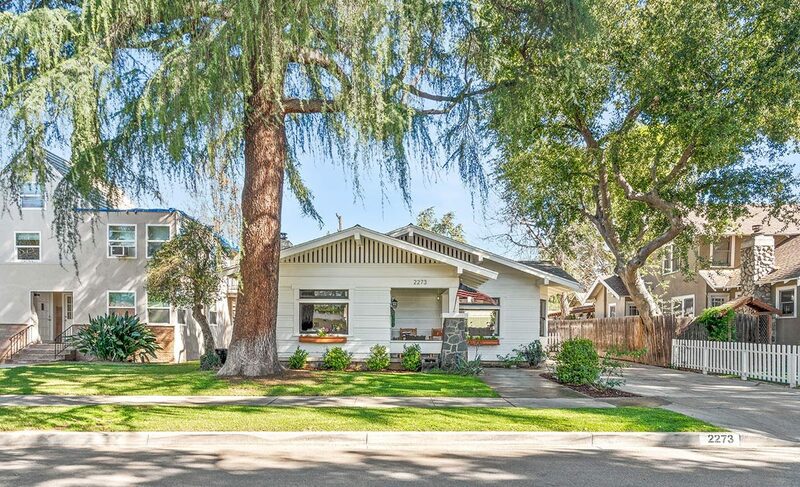 But once you pull in and park you’ll never want to leave. 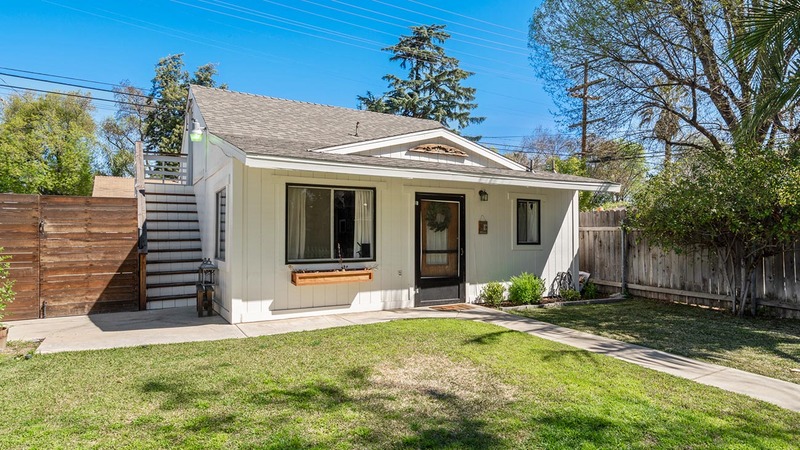 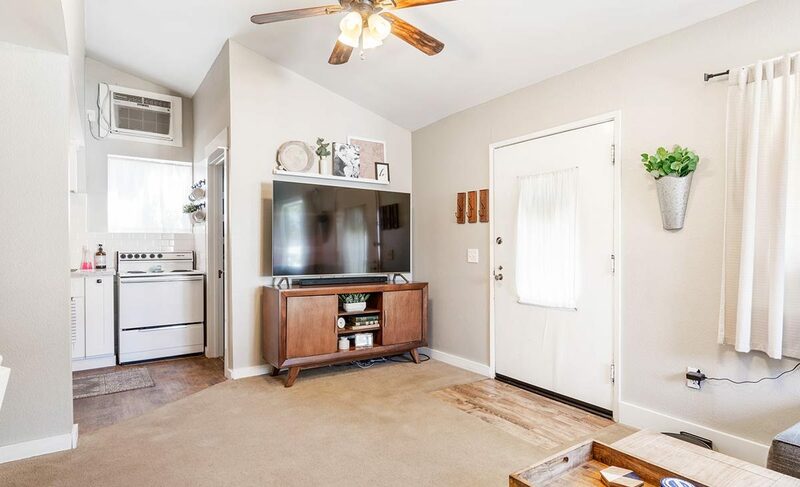 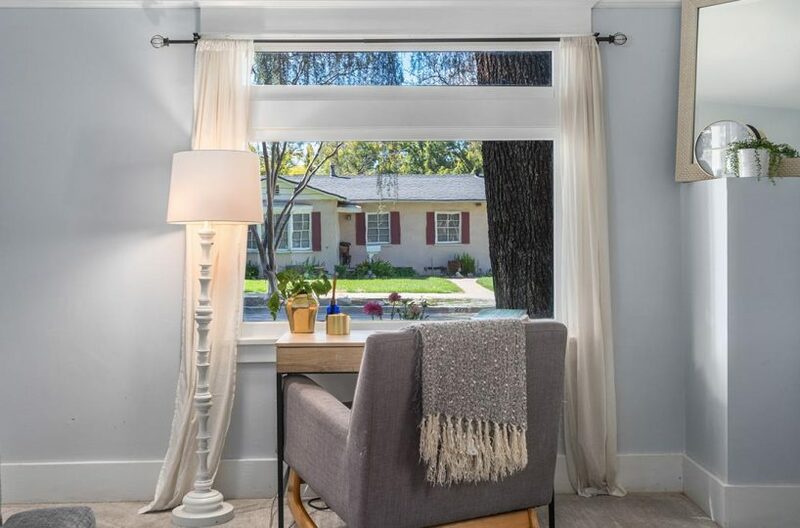 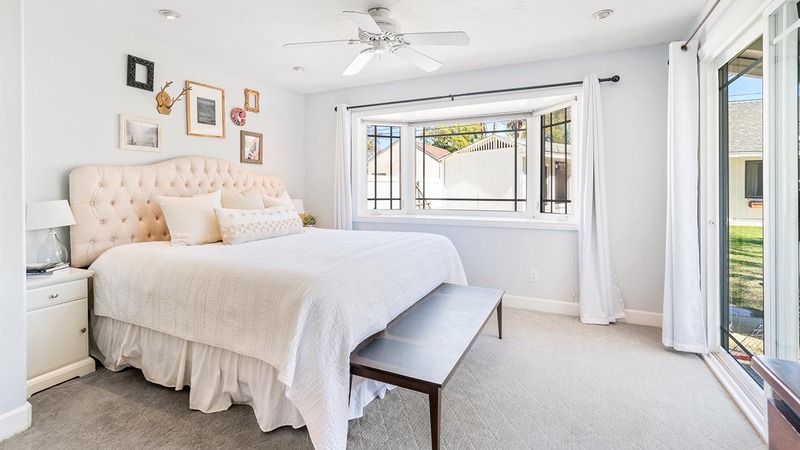 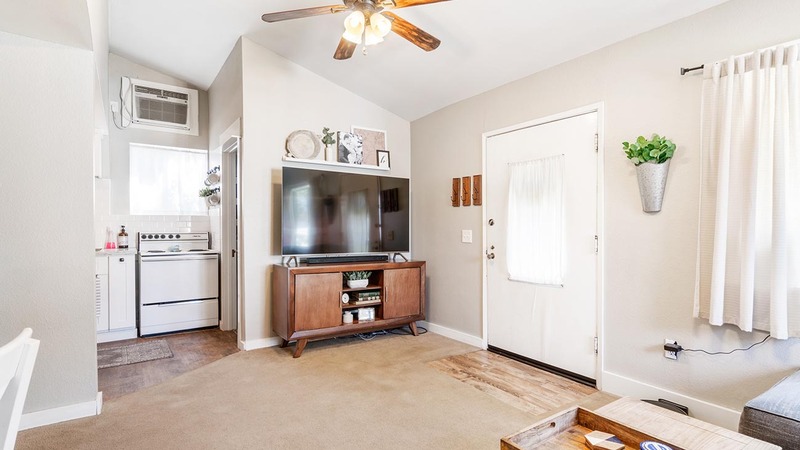 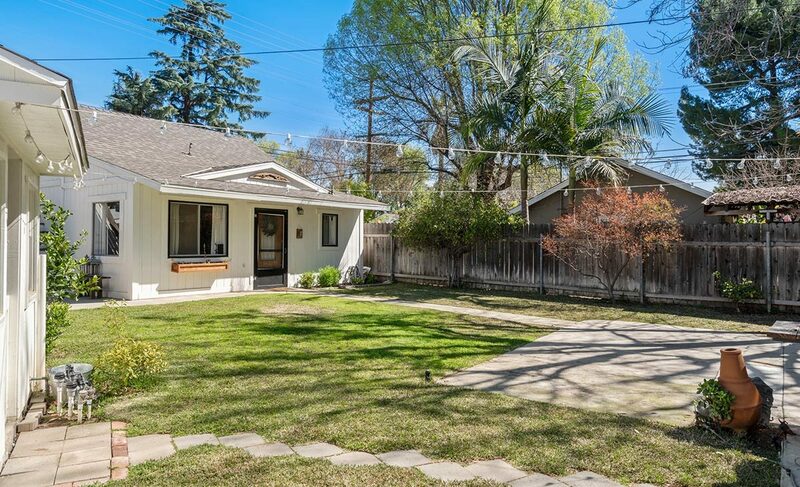 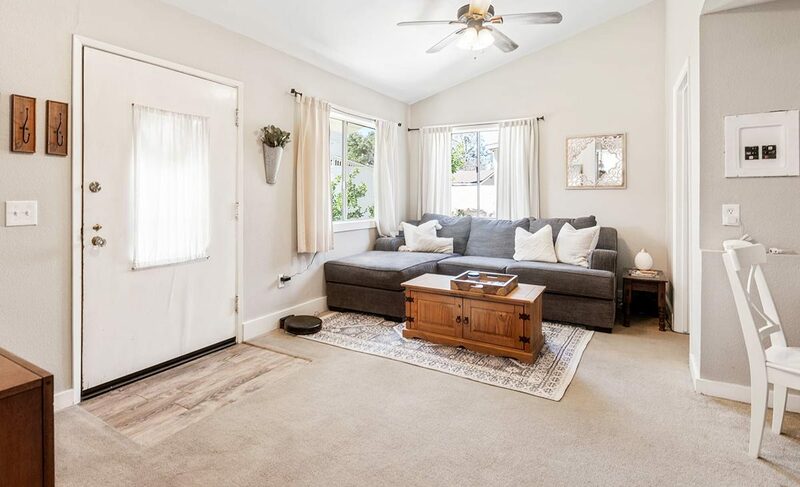 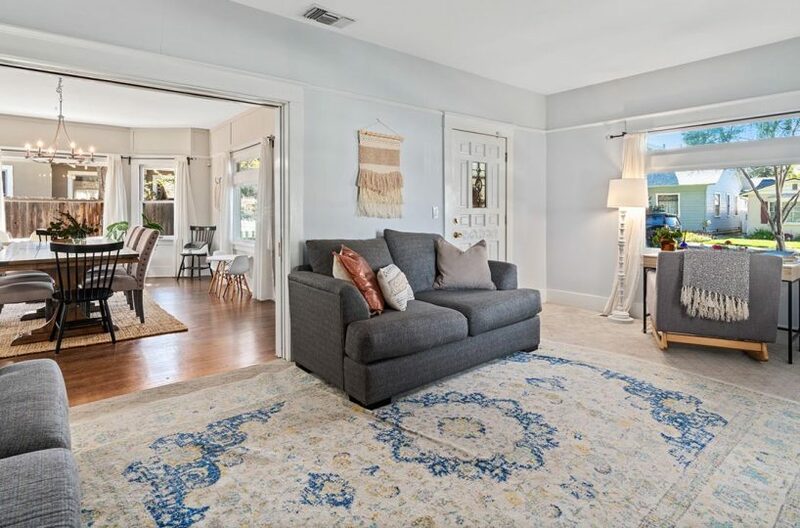 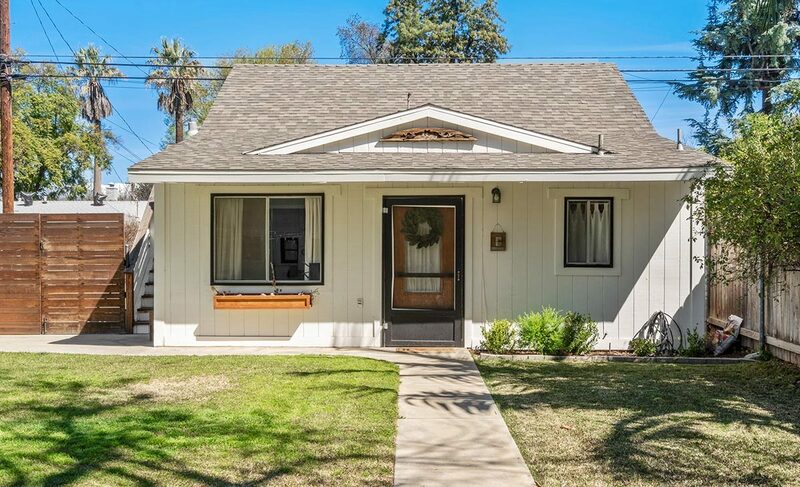 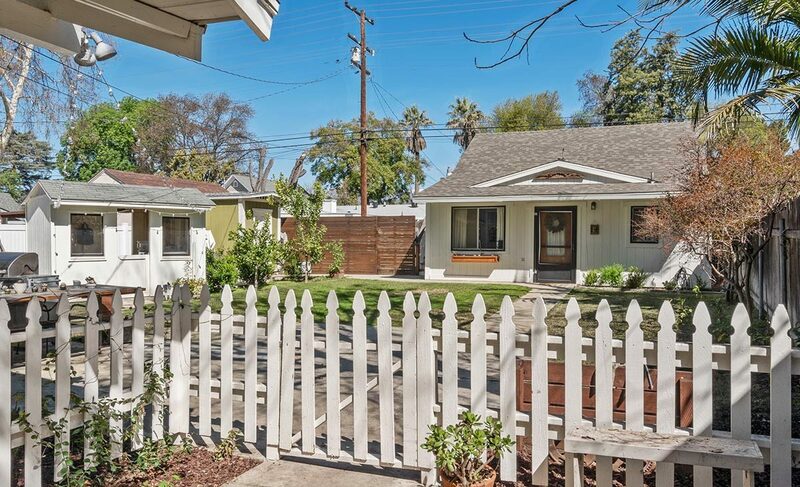 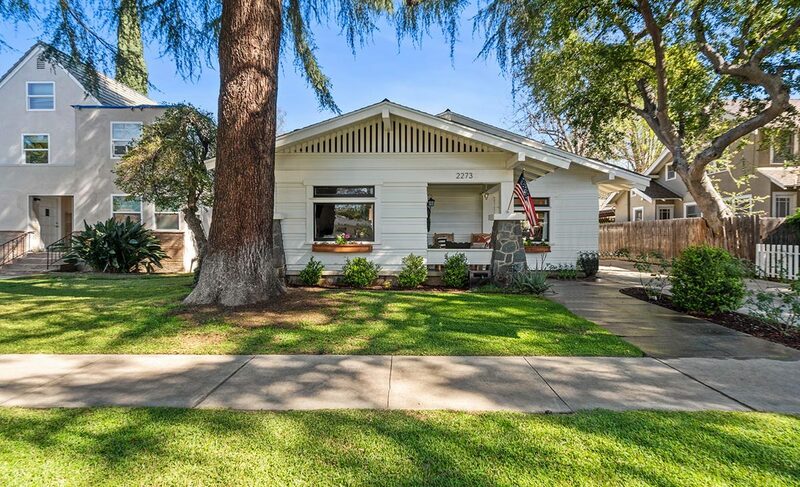 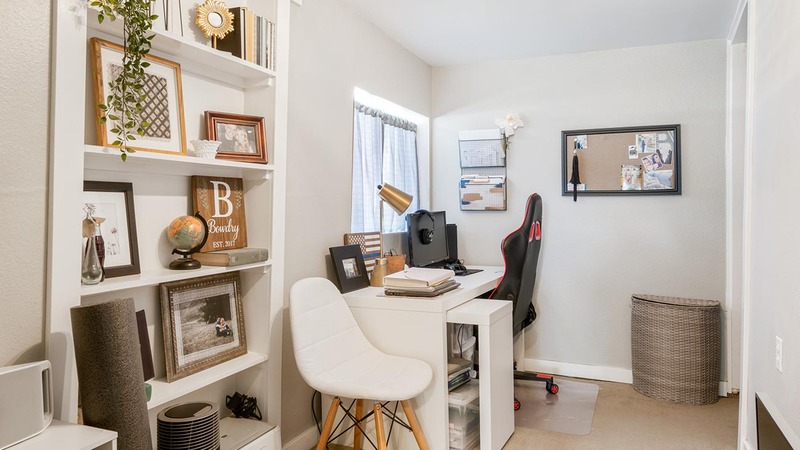 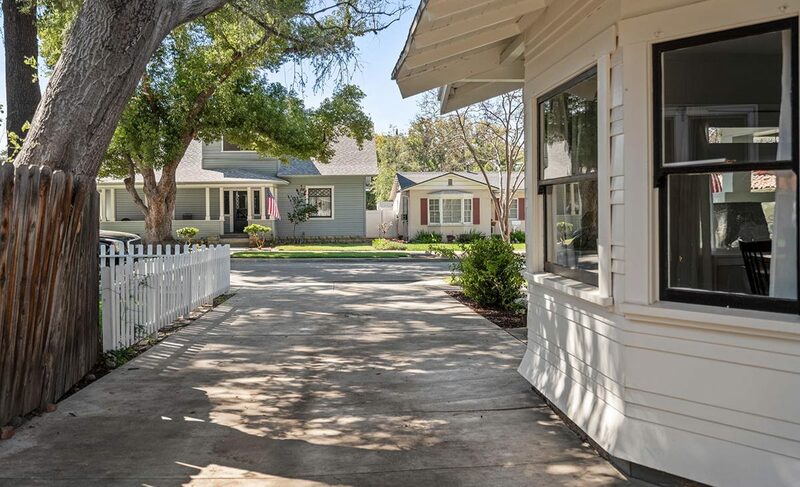 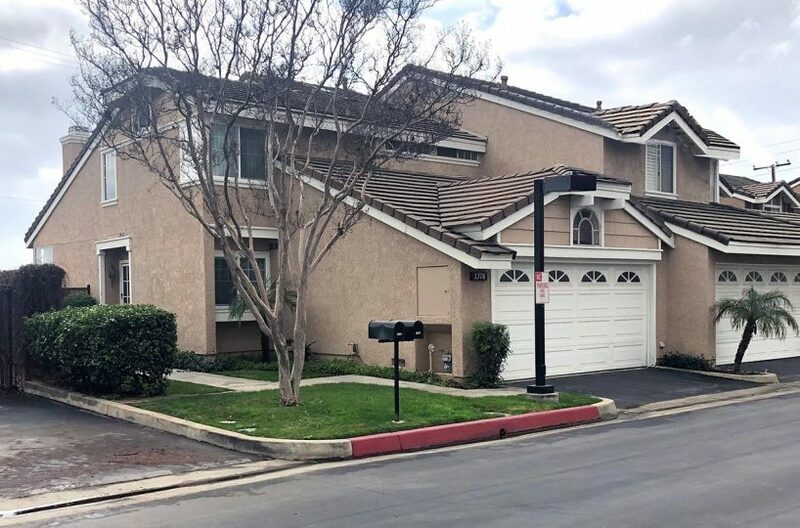 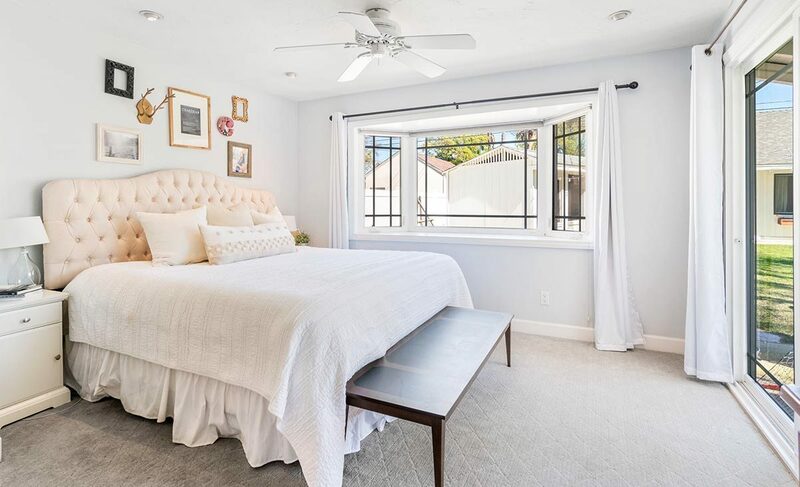 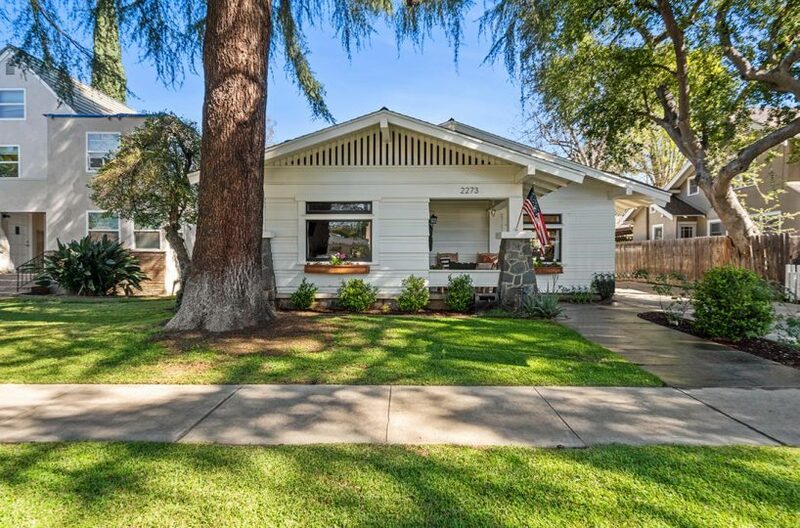 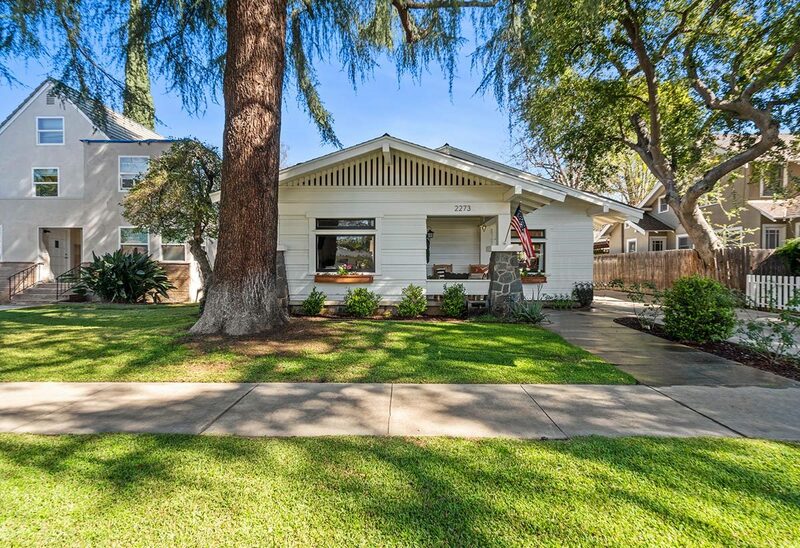 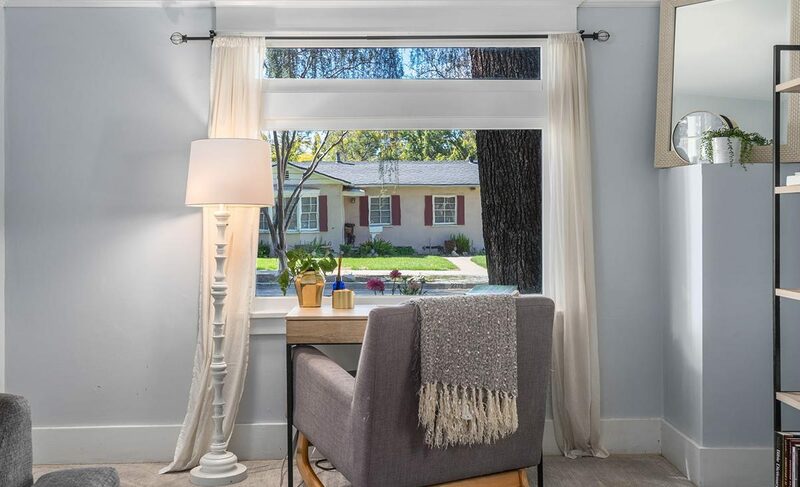 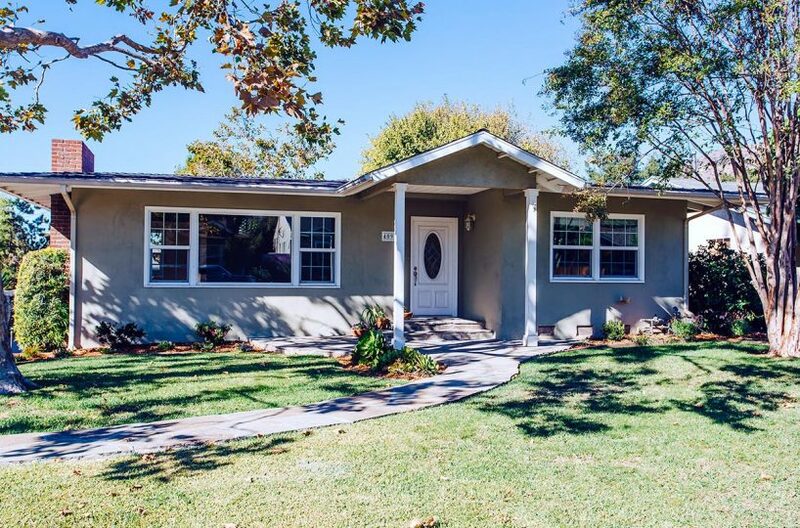 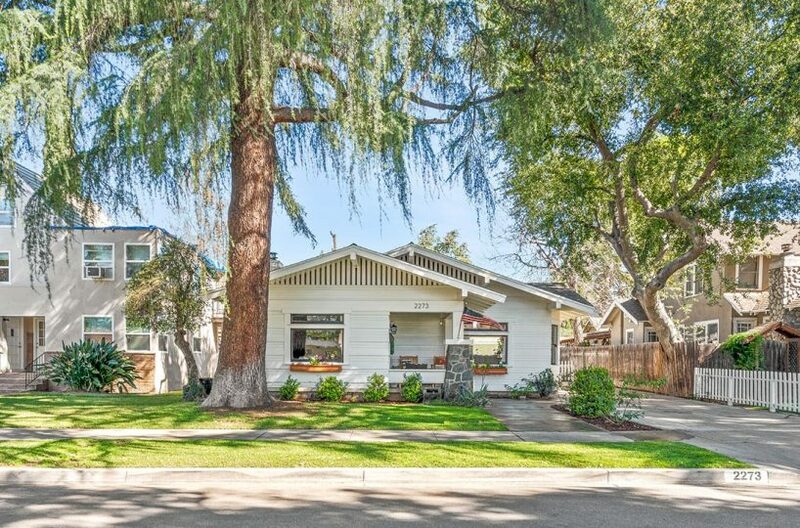 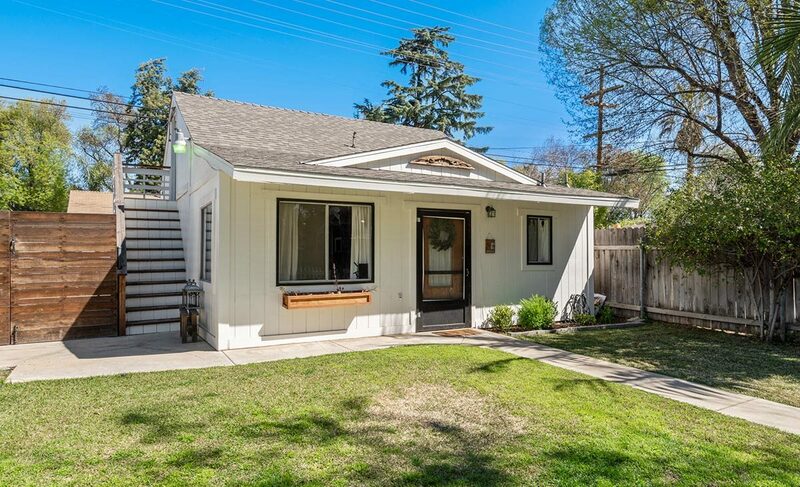 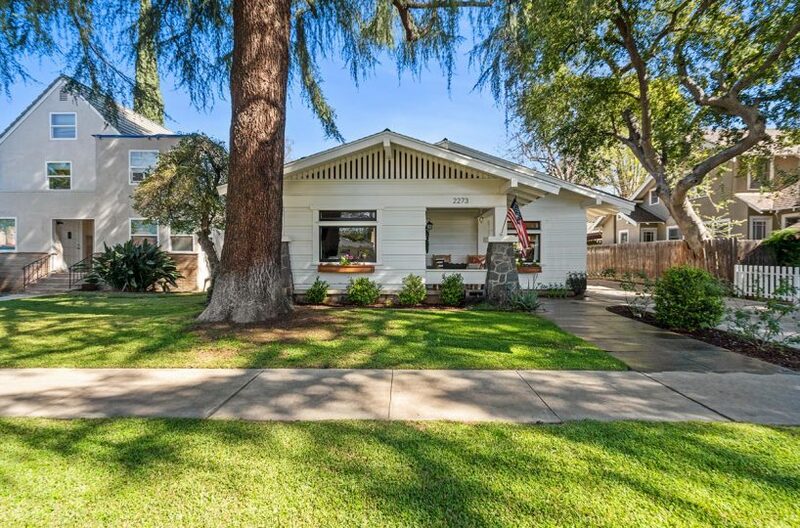 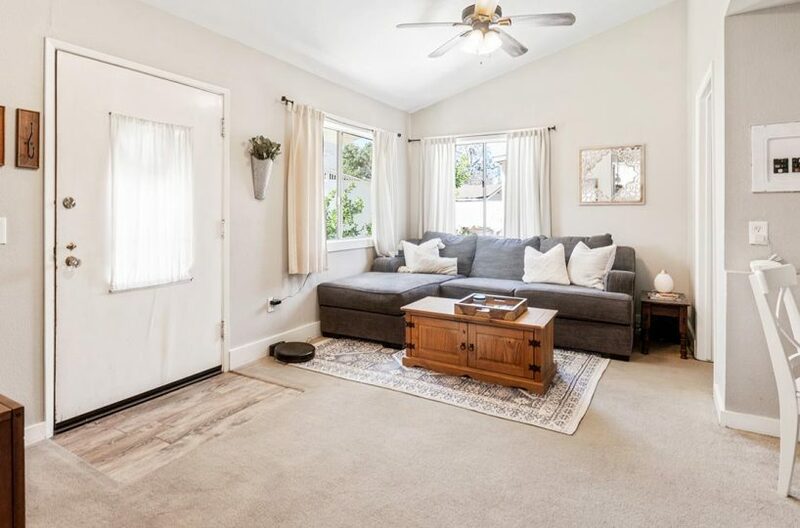 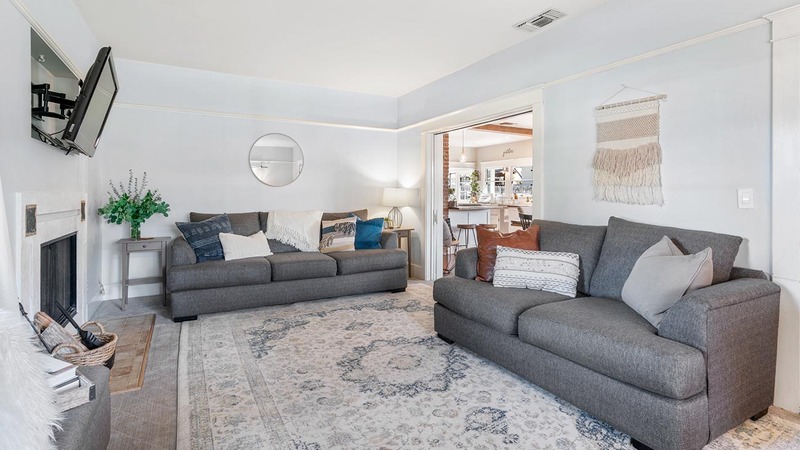 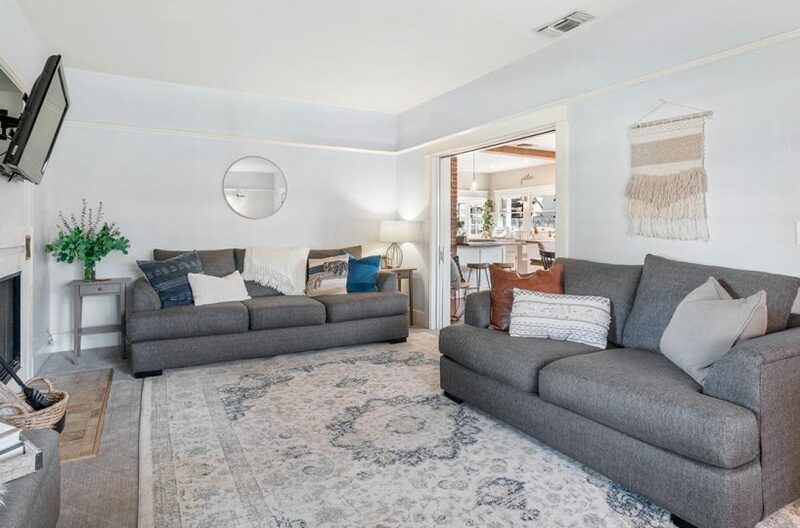 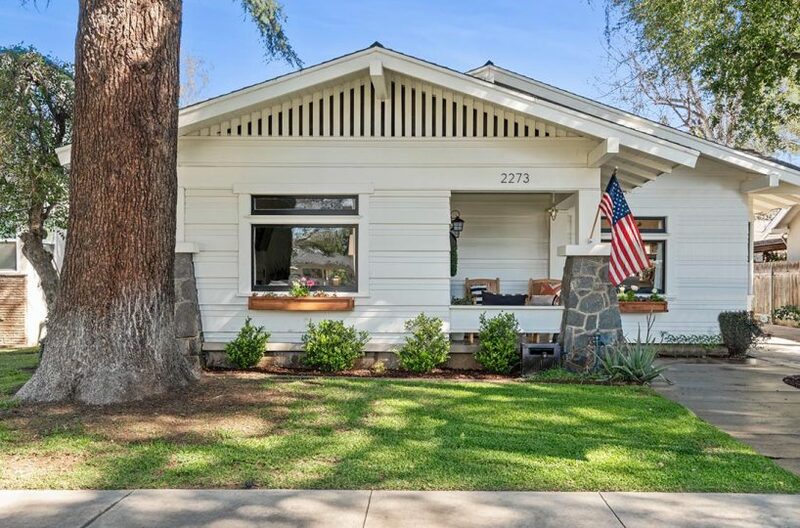 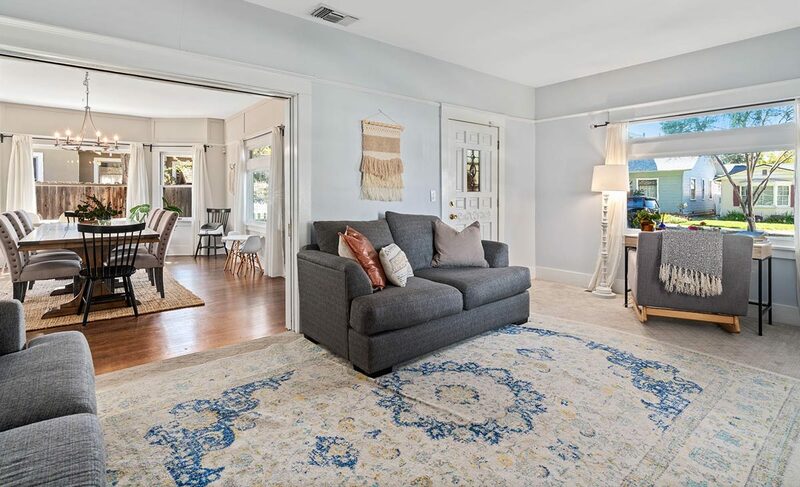 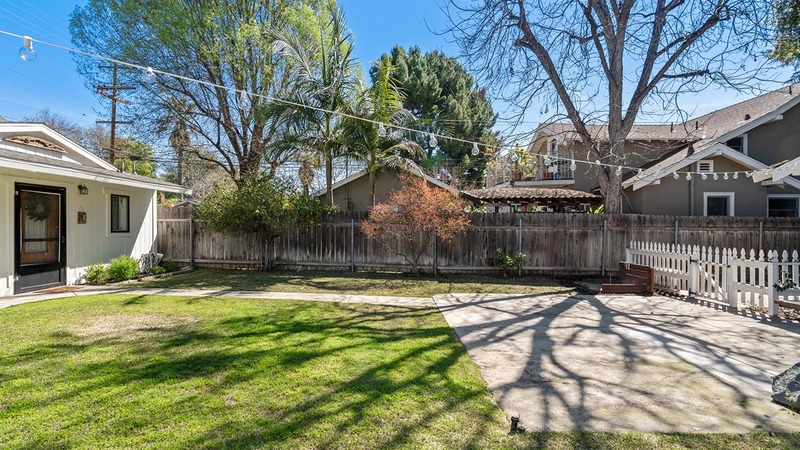 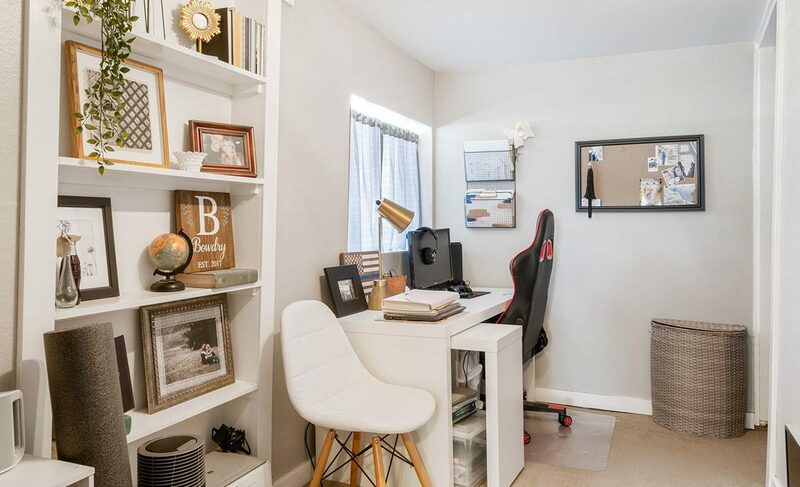 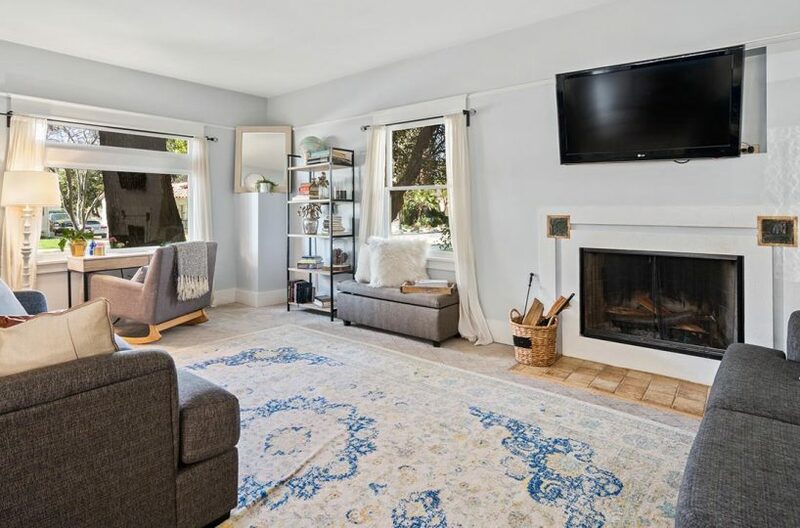 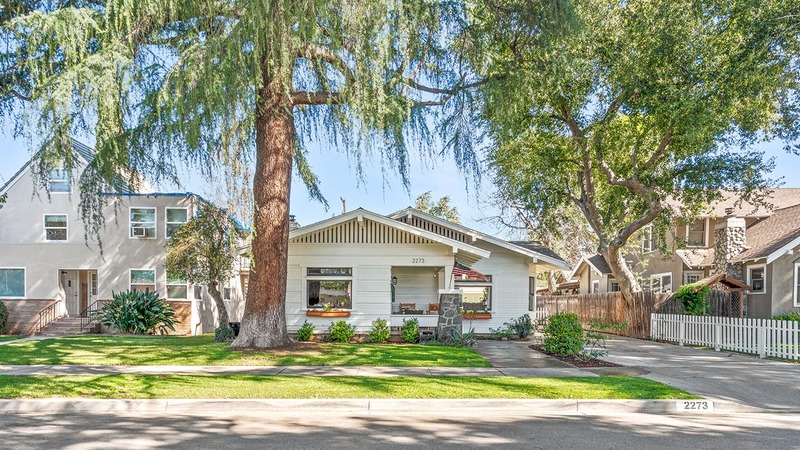 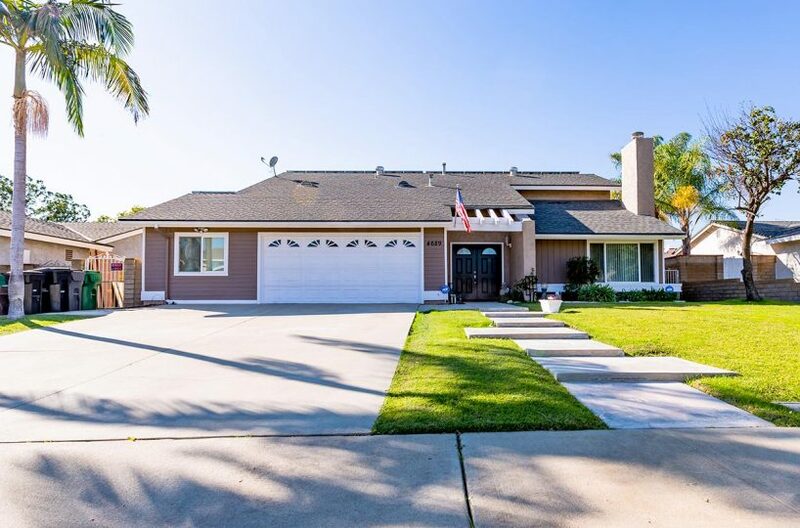 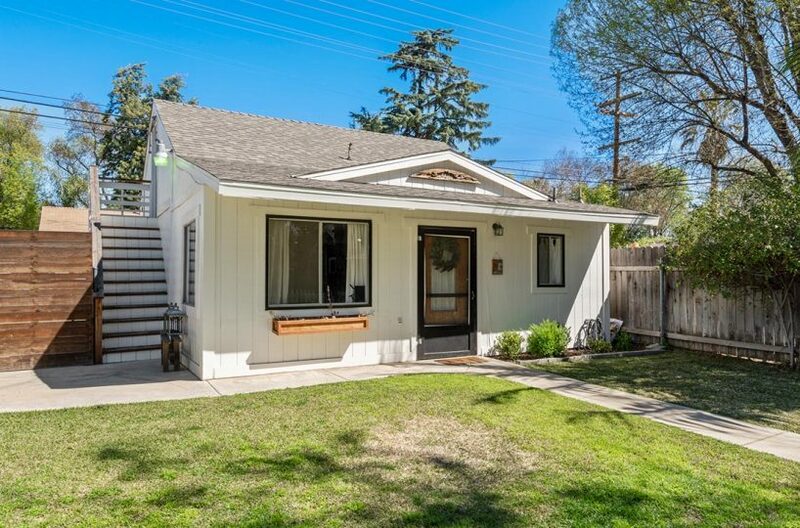 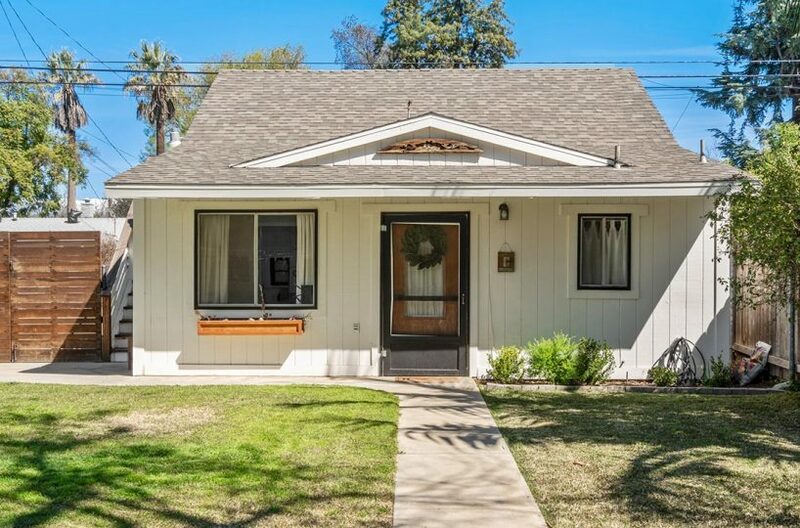 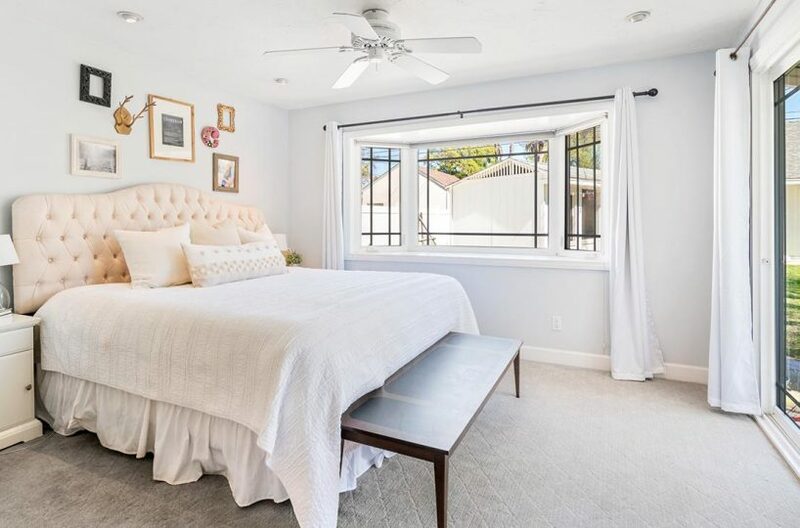 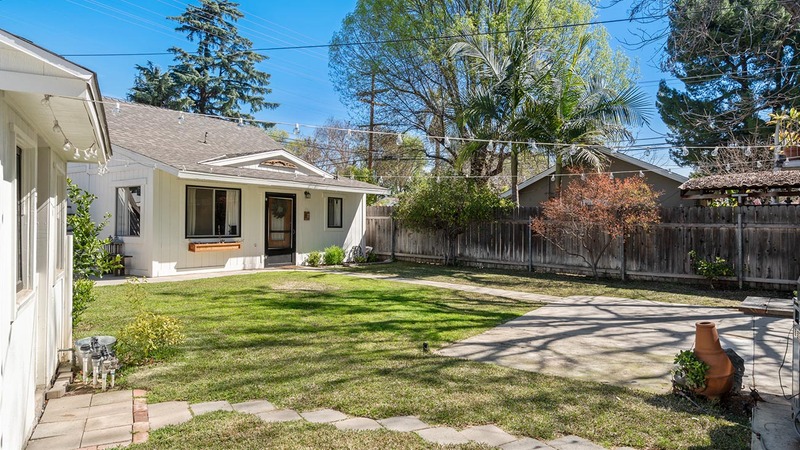 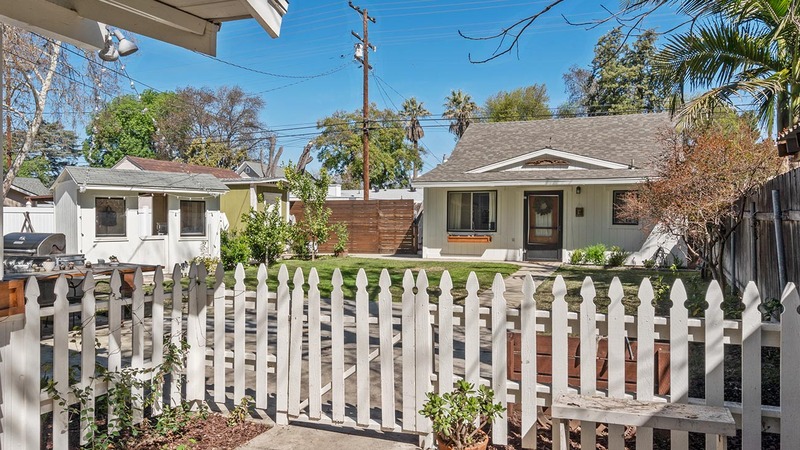 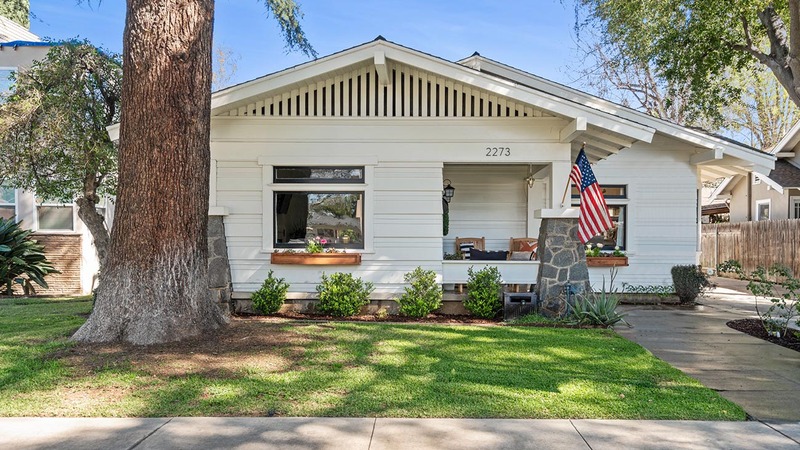 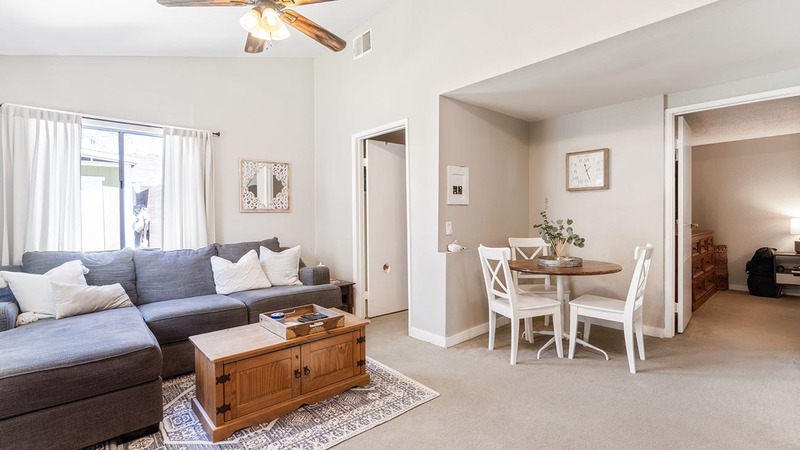 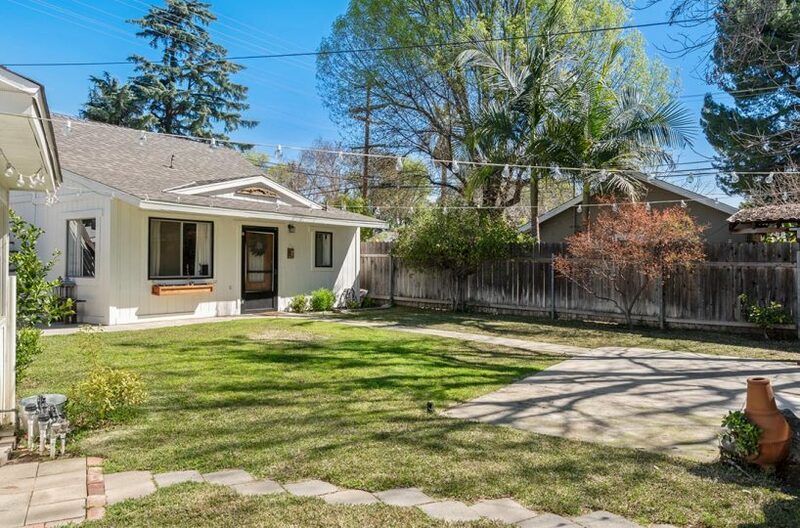 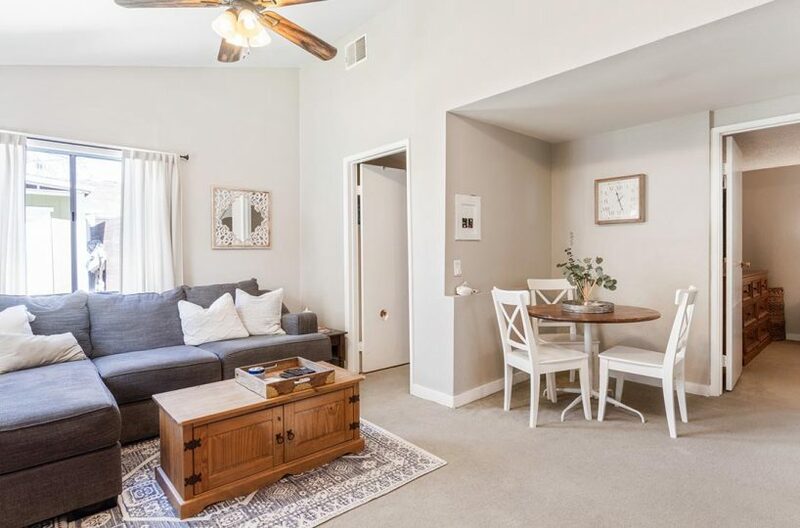 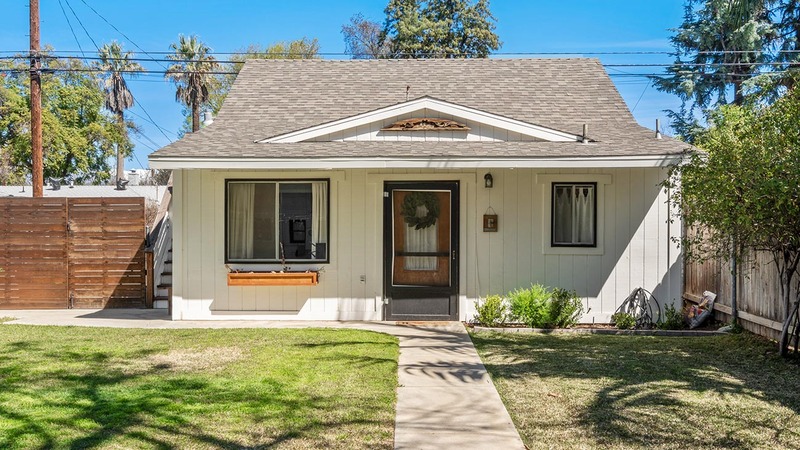 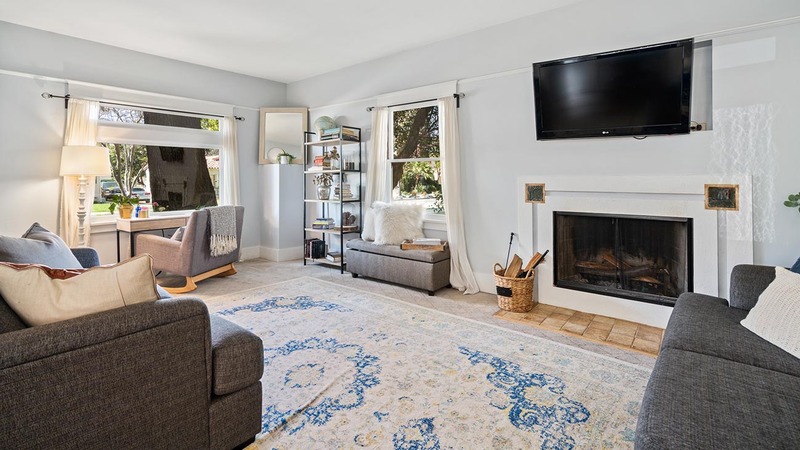 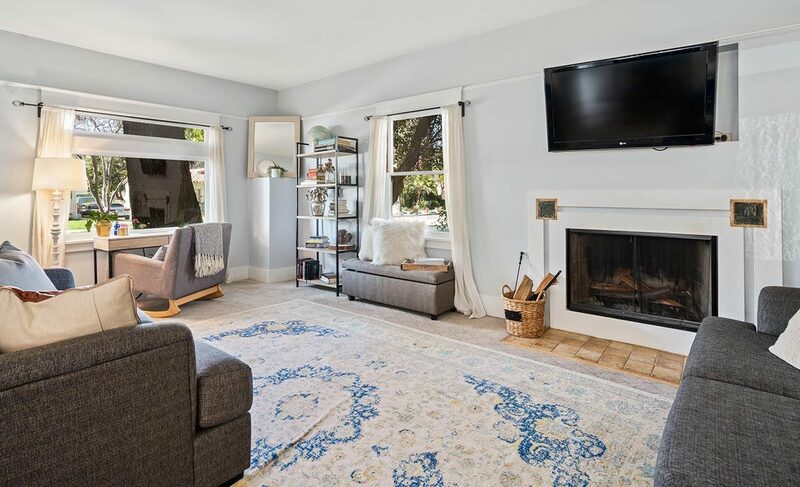 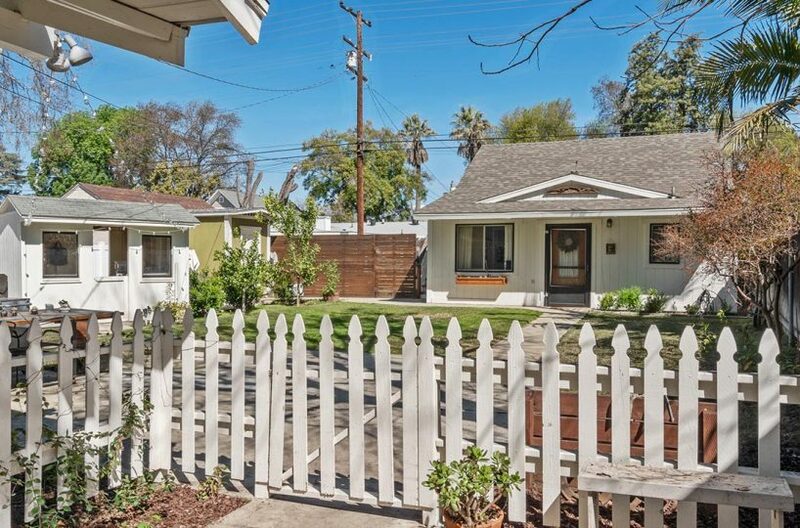 Don’t miss out on this rare opportunity to live within walking distance to downtown La Verne, in a picture perfect Craftsman with a back house!